Rabbit! Rabbit! What an unexpected joy to make garden memories as December begins! 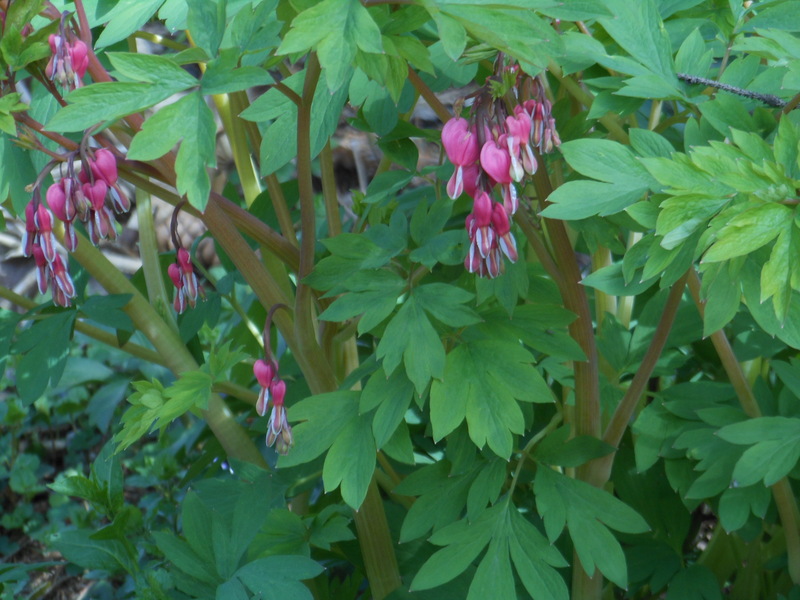 On Tuesday afternoon, I took advantage an unseasonably mild day to walk around the garden. 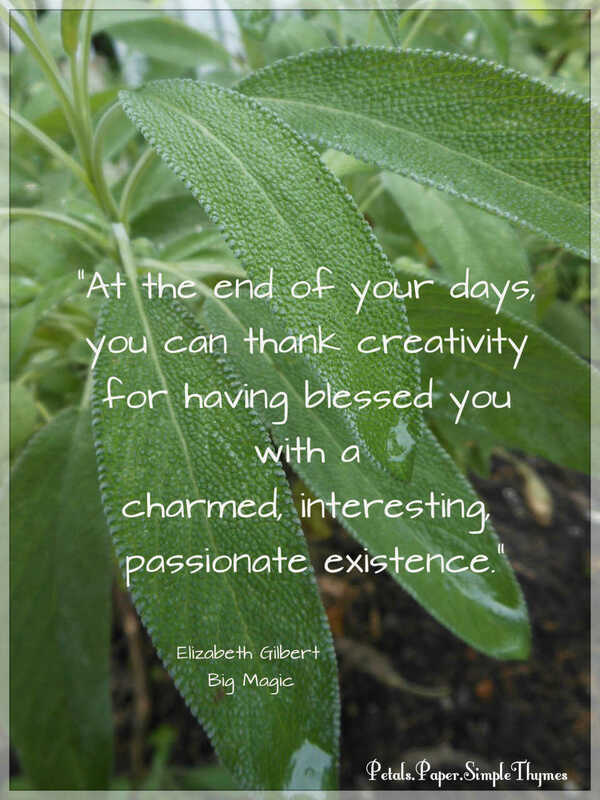 A few remaining leaves crunched underfoot as I unlatched the garden gate and stepped into to my Herb and Tea Garden. 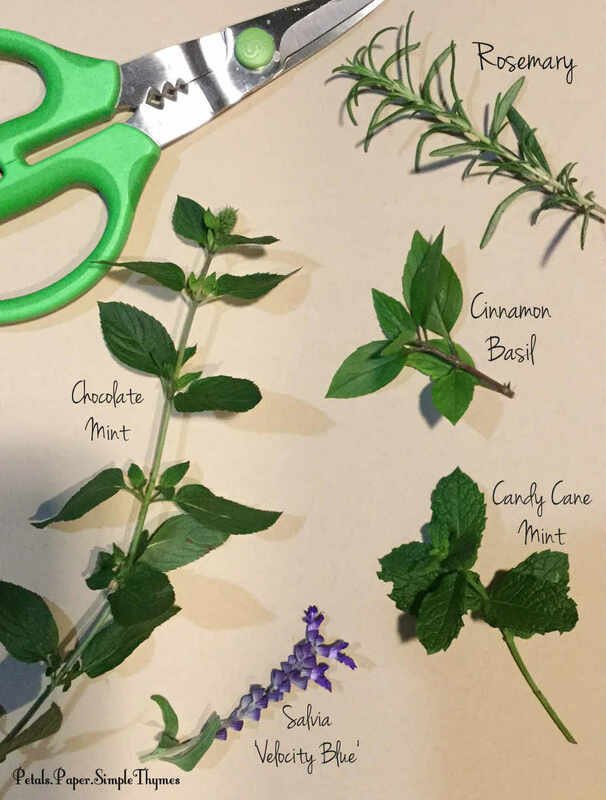 With garden snips in hand, I clipped small bunches of sage, oregano, and lemon balm. 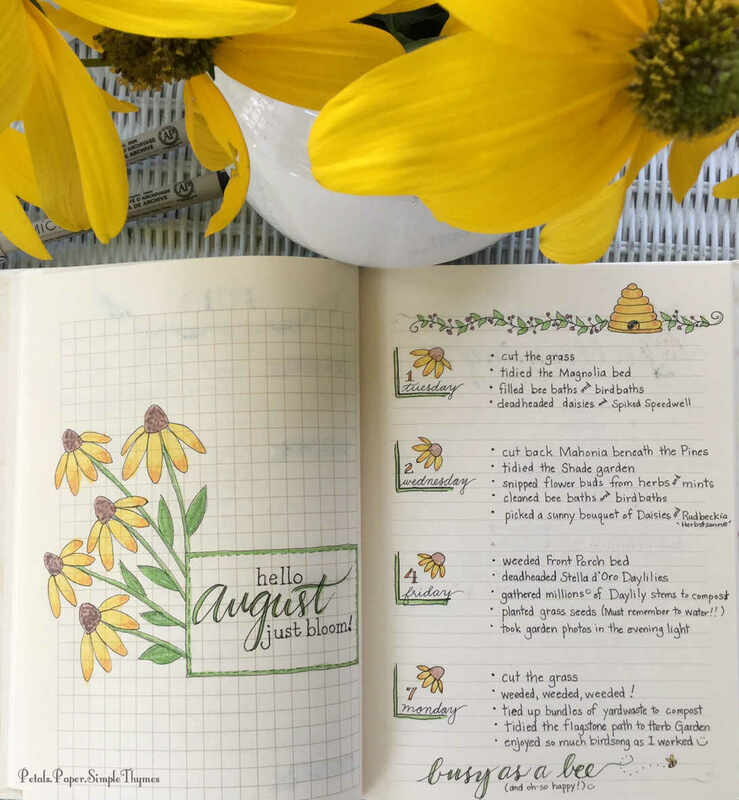 to connect my passion for herb gardening with my passion for cardmaking. 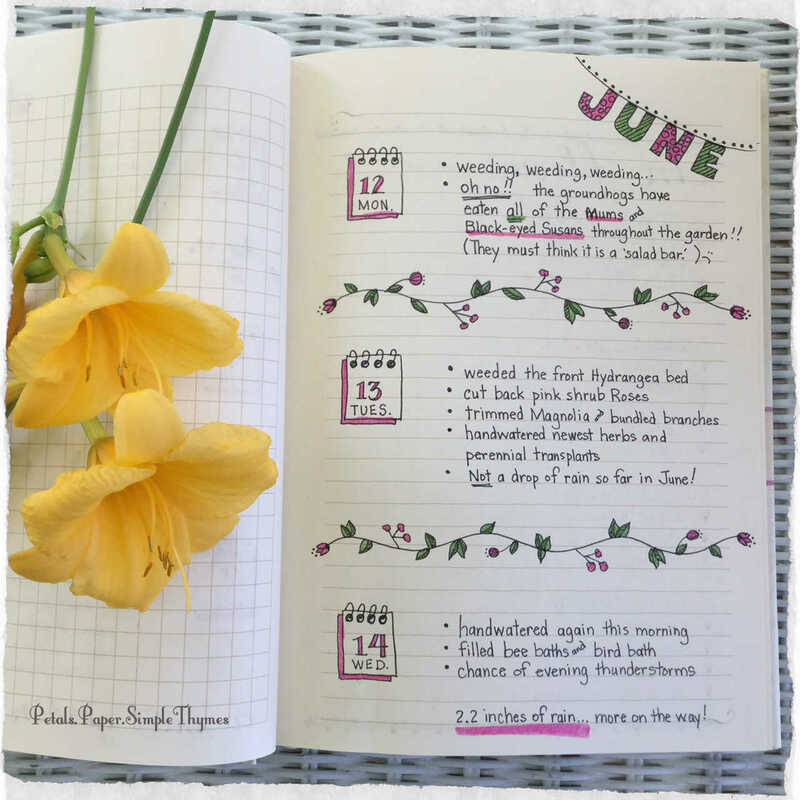 Pure serendipity… and so much fun! 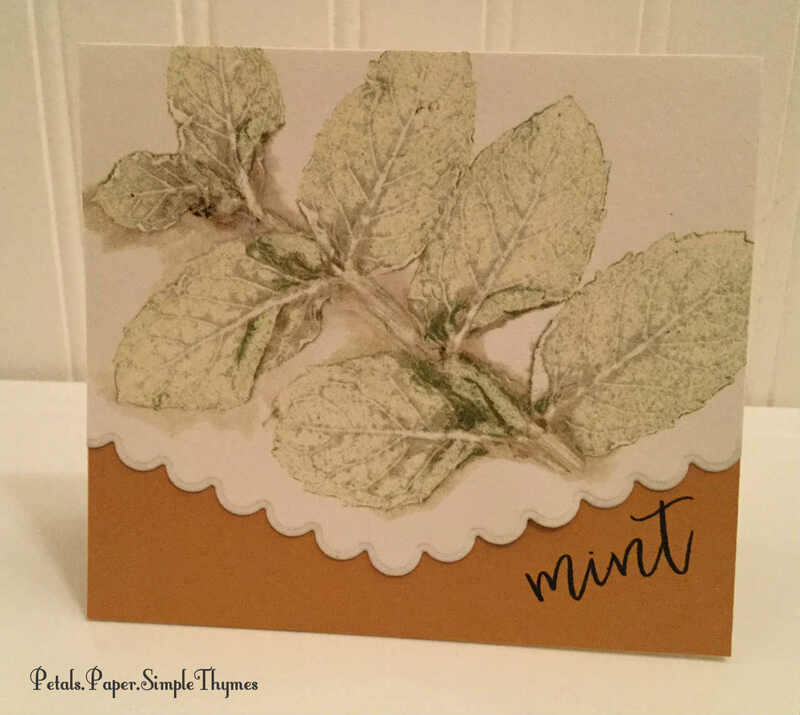 Heavenly, herbal scents filled my Paper Garden studio downstairs, as I placed fresh sage leaves on cardstock, between the plates of my Big Shot embossing/die cutting machine. 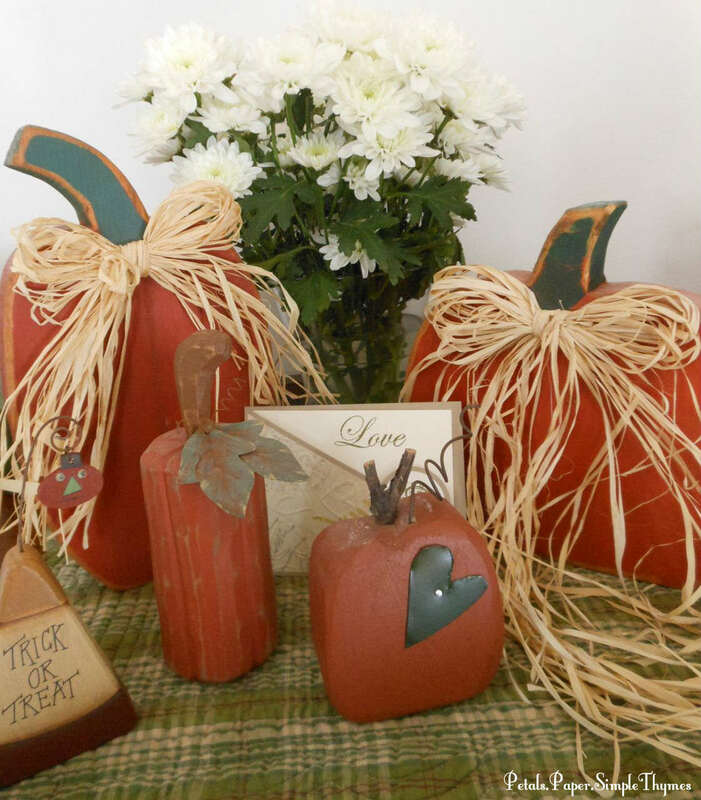 (See Lydia’s video tutorial for her step-by-step directions.) 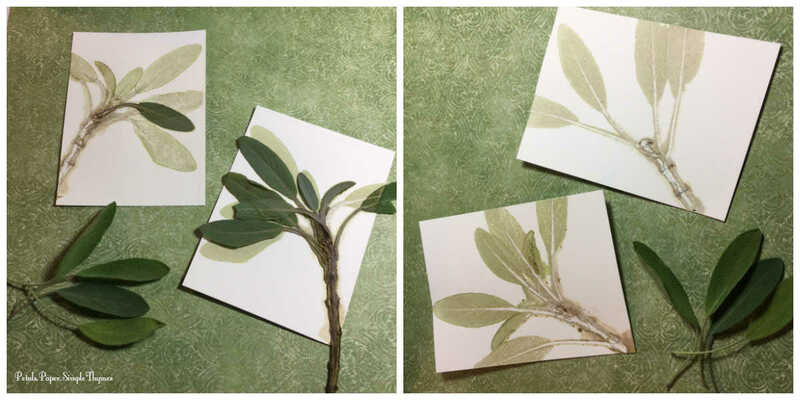 As I cranked the paper ‘sandwich’ through the machine, the sage leaves and stems printed on the cardstock. Mother Nature’s colors were more perfect than any ink color in my studio! 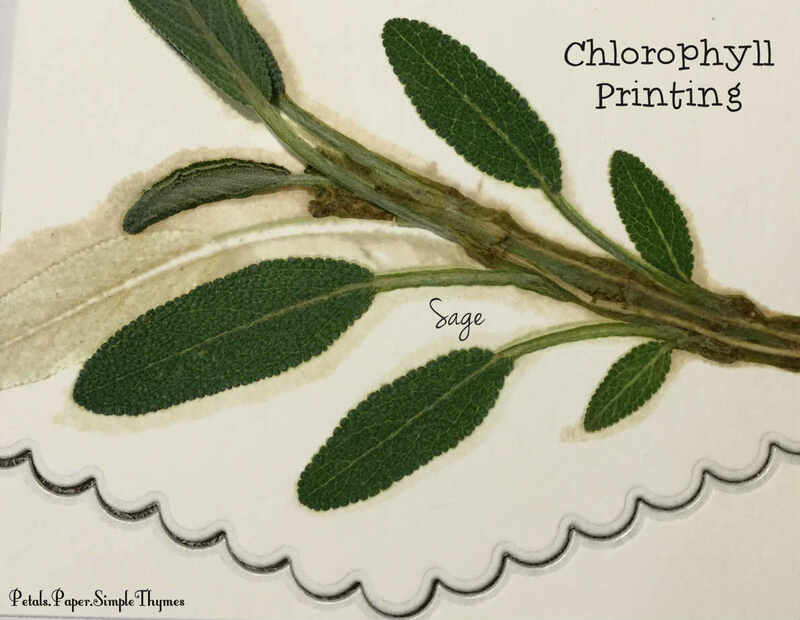 The Chlorophyll transferred the beautiful, subtle colors of the sage perfectly. 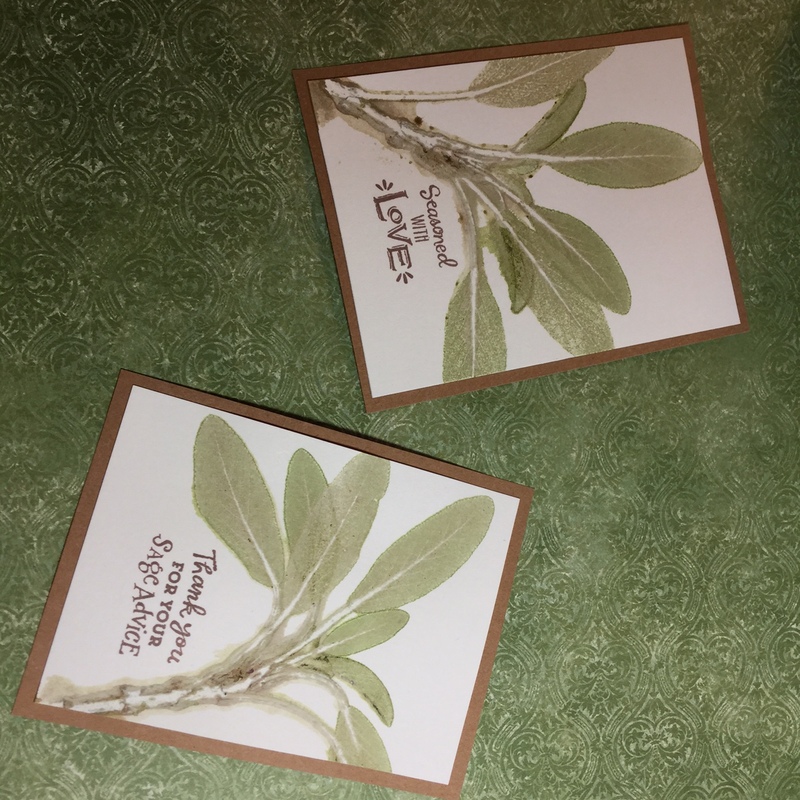 I was in awe as I gently peeled the flattened sage leaves from the cardstock! I matted each herbal print on kraft cardstock. Then I reached for the perfect sentiments! 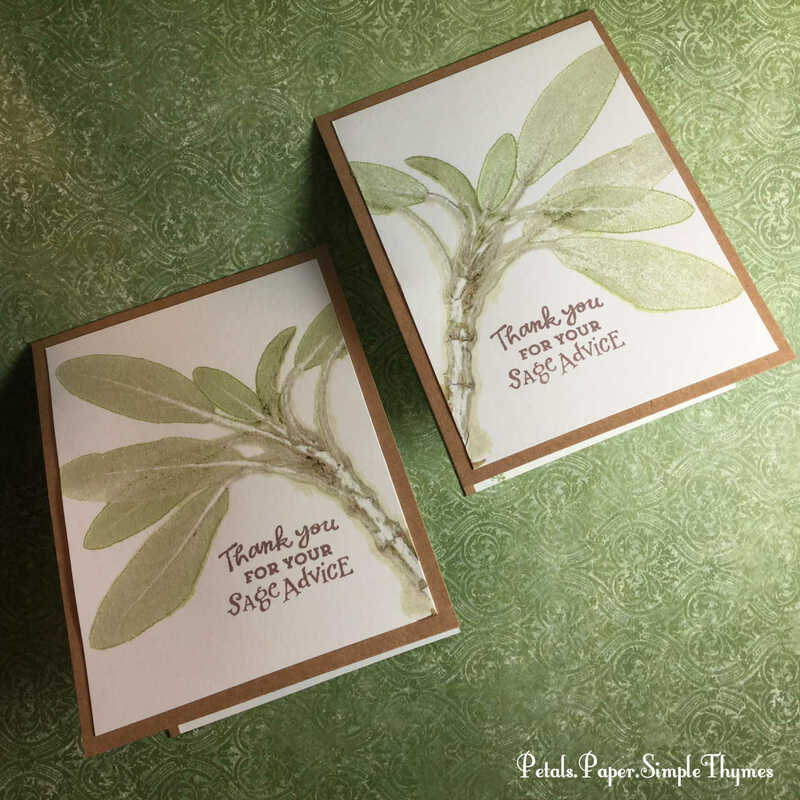 The ‘Sage Advice’ stamp set from ‘Power Poppy by Marcella Hawley’ (one of my forever favorites) had just the right words to complement the Chlorophyll Prints. 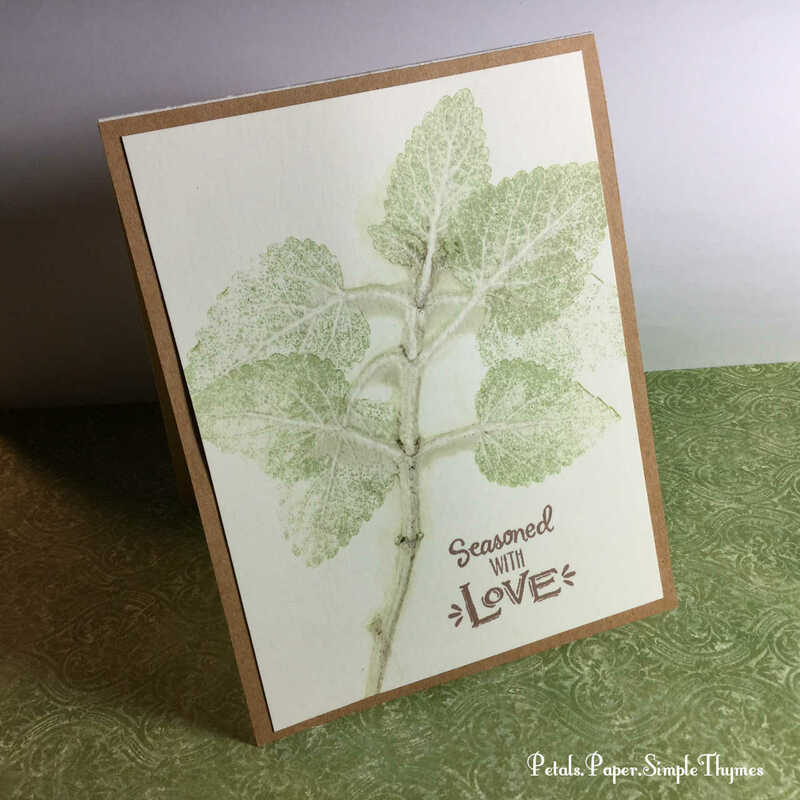 Using Crumb Cake ink (Stampin’ Up) and the MISTI stamping tool, I added the sentiments. After successfully making single Chlorophyll Prints, I was ready to try Lydia’s ‘Duoprints’ technique. 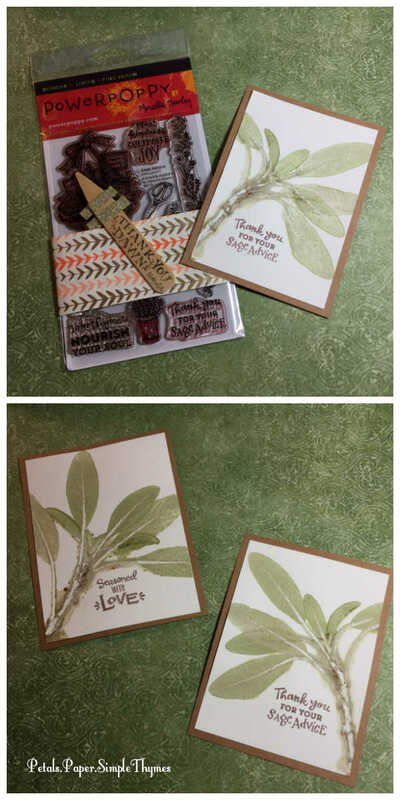 So, I sandwiched another bundle of fresh sage between two pieces of cardstock and cranked them through the Big Shot. Both of these sage prints were produced at the same time. ⇪ The details and colors were just lovely. 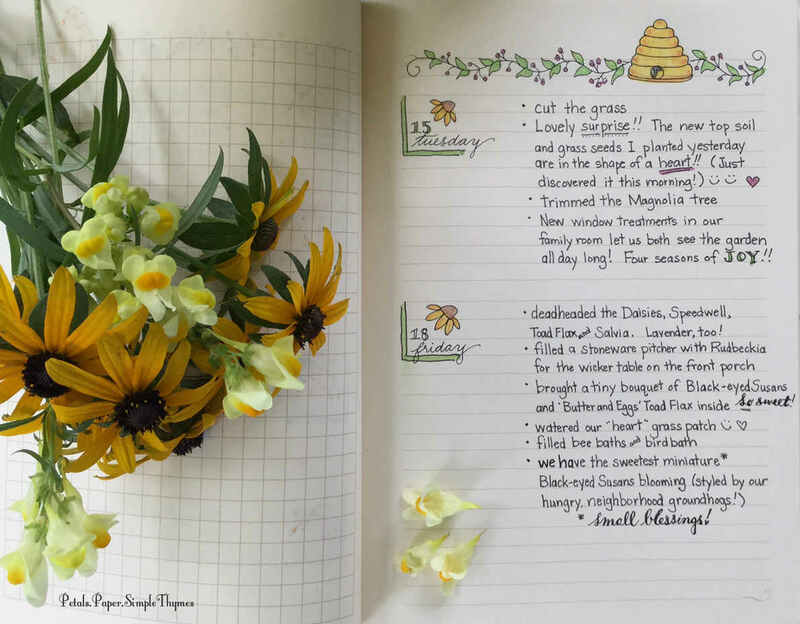 Look closely… Mother Nature even provided beautiful shading for the images, as the essential oils were pressed onto the paper. The sage prints were adhered to cream-colored cardbases. 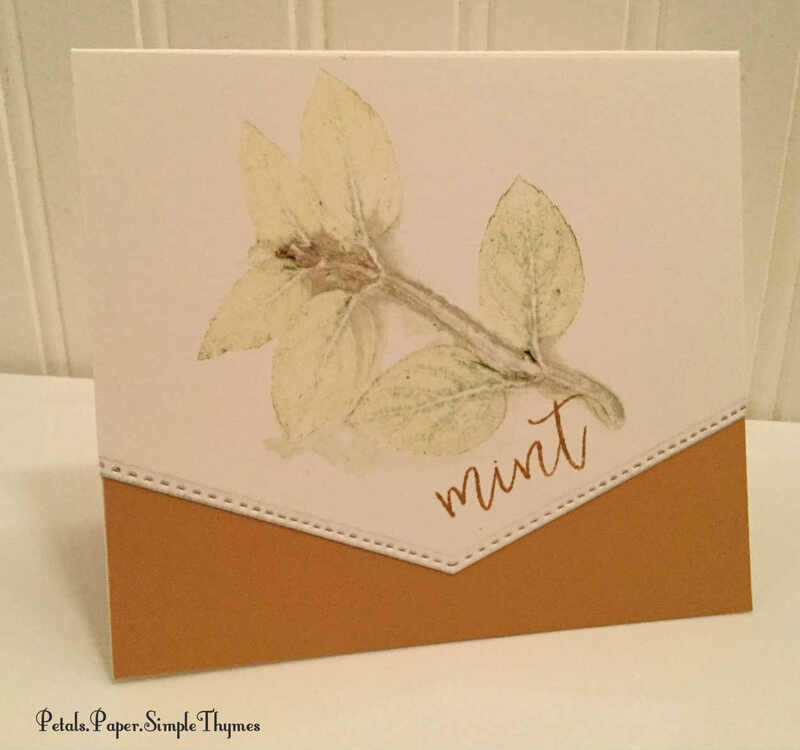 I stamped the inside of the cards with herbal images from the same Power Poppy stamp set. Finally, I handlettered the name of the herb on the back of each card, near my signature. 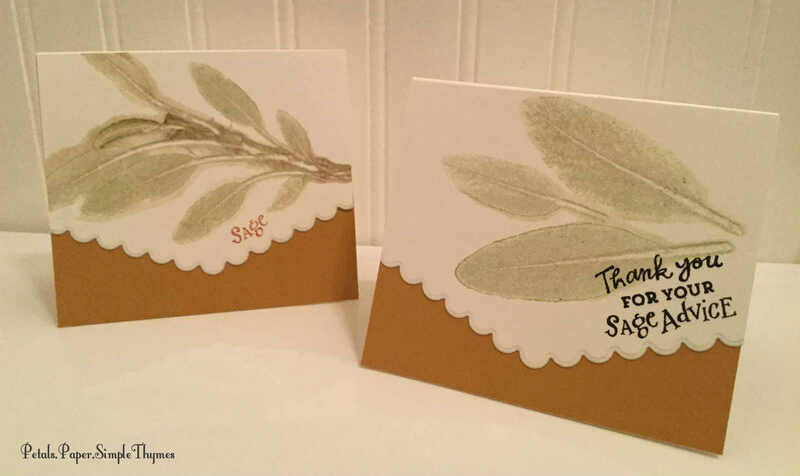 If only you could smell the amazing scent of sage on these cards! Hmmm! What next? 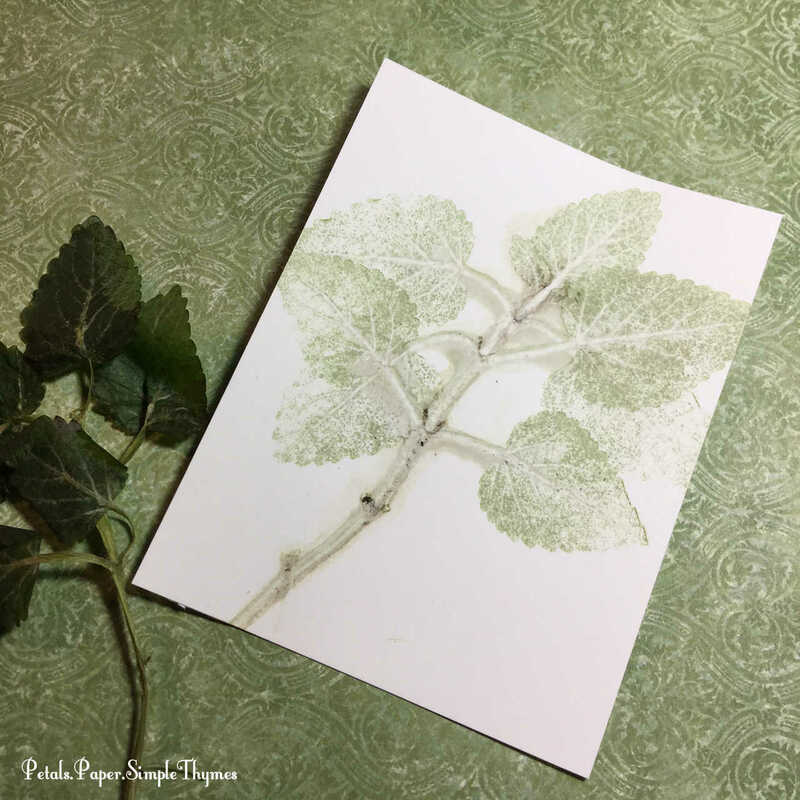 I decided to try printing with lemon balm. It worked beautifully, creating soft shadows, as the fresh, lemony scent filled my studio! I continued to experiment with different herbs and other foliage from the garden. 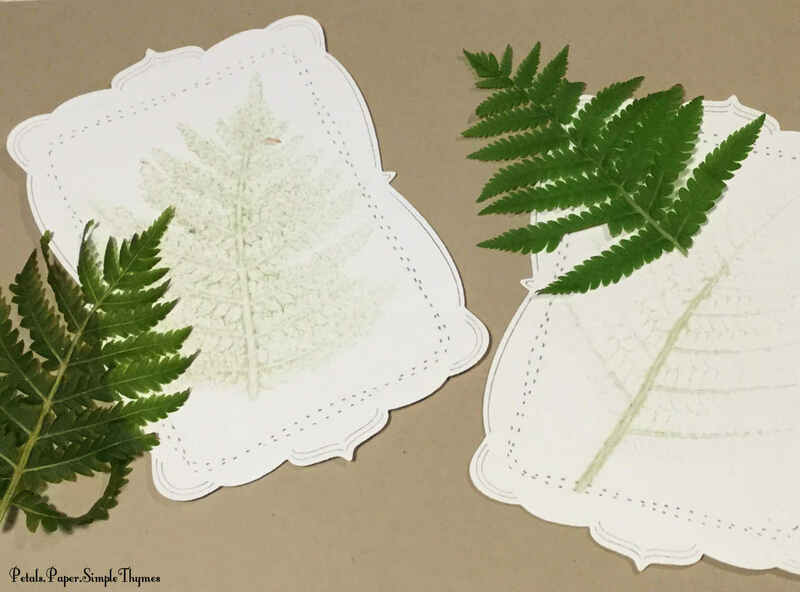 Although the images weren’t quite as sharp and crisp, I was able to make Chlorophyll Prints with oregano, the holly-like leaves of mahonia, and the heart-shaped leaves of wild ginger. Oh my! I can’t wait to work with Chlorophyll Printing again. I must try rosemary, my very favorite herb! 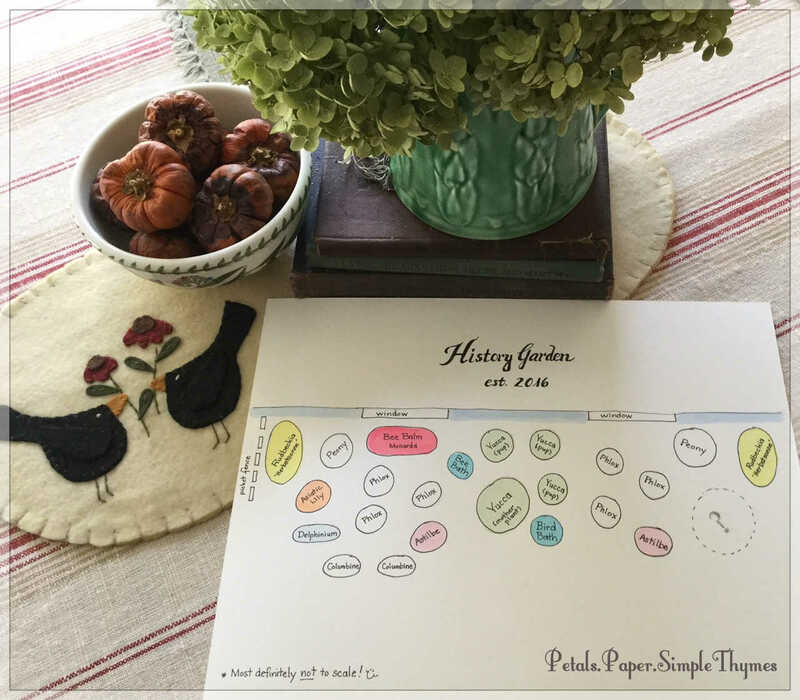 It will be such fun to bring my garden herbs and foliage into my Paper Garden studio throughout Spring, Summer, and Autumn next year. I’m also planning to try Chlorophyll Printing on watercolor paper next time. 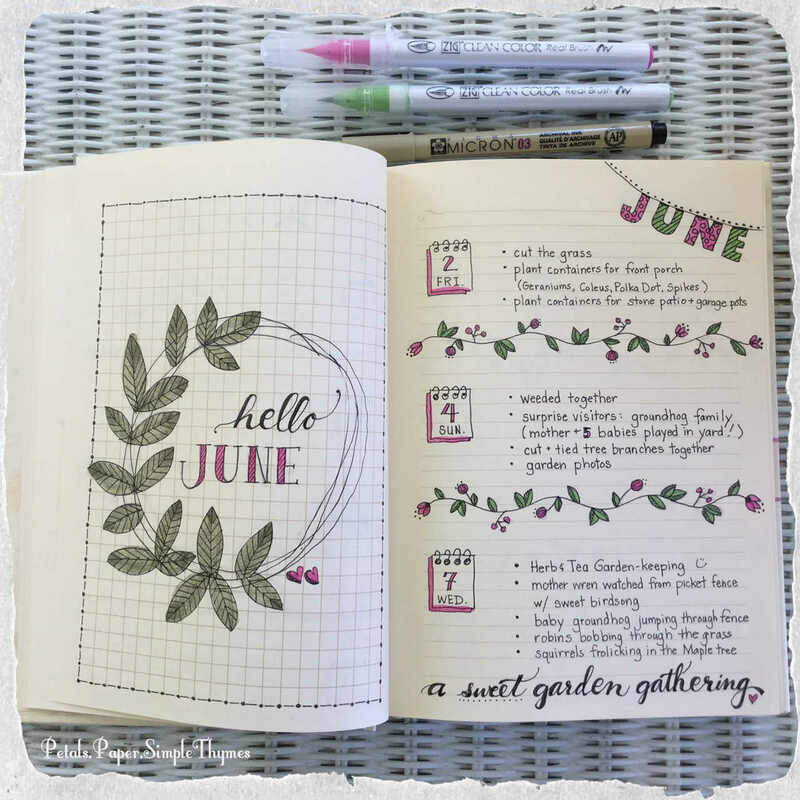 It will be lovely to create cards, gift tags, bookmarks (for cookbooks), and framed botanical pieces seasoned with love and kindness! 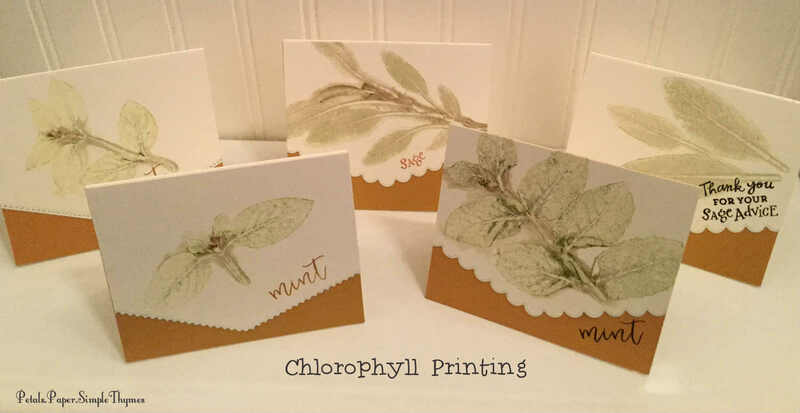 If you feel inspired to try Chlorophyll Printing, be sure to let us know how it works for you! 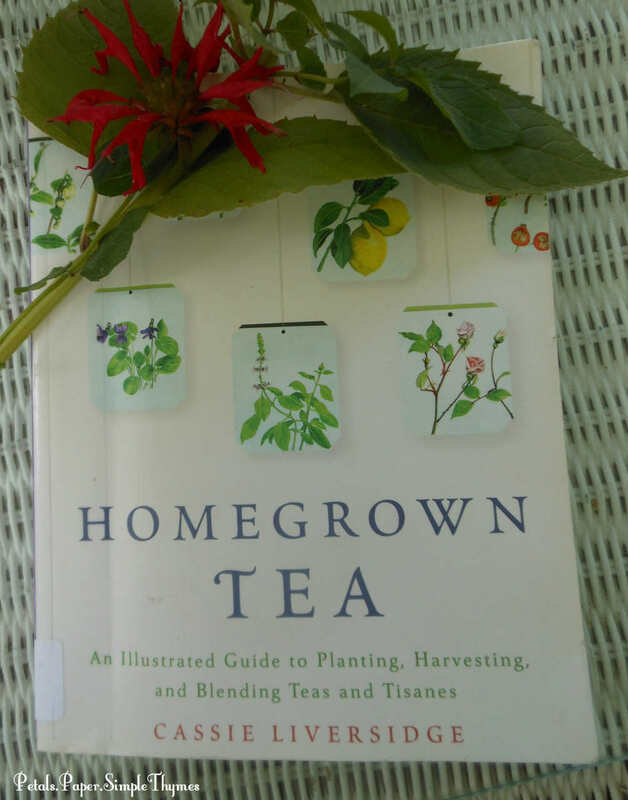 it will quickly become one of her very favorite books about growing herbs and teas. back to her Herb & Tea Garden, where it grew many years earlier. when her entire yard is a butterfly garden! 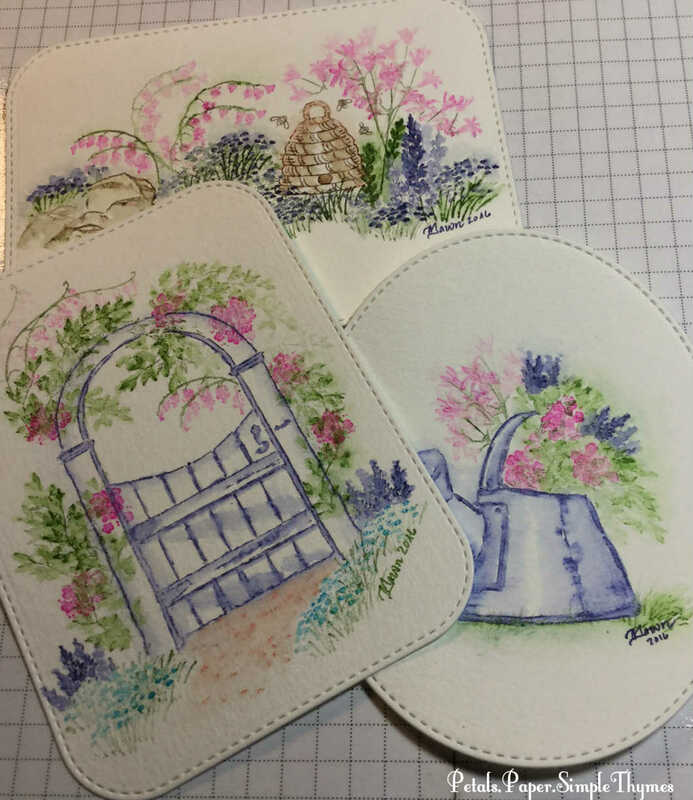 Speedwell, Obedient Plant, and Phlox! 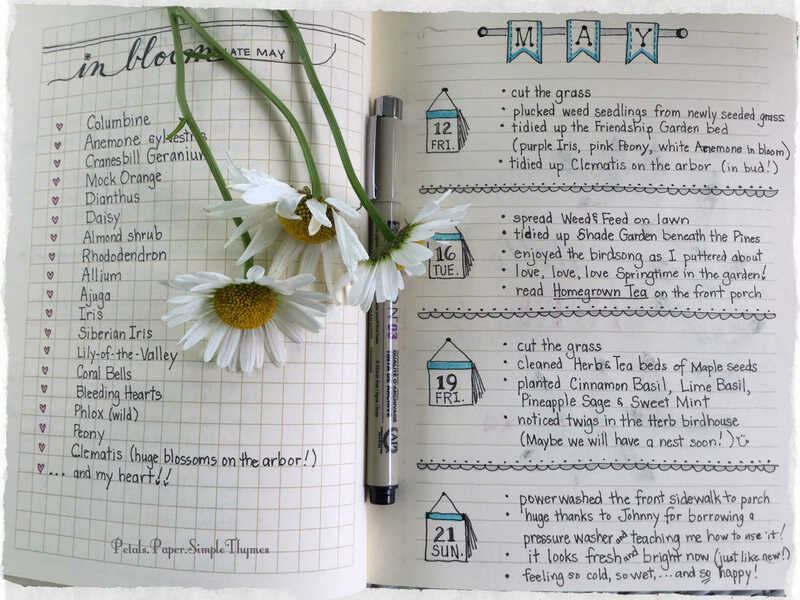 her entire garden has grown into a cutting garden! 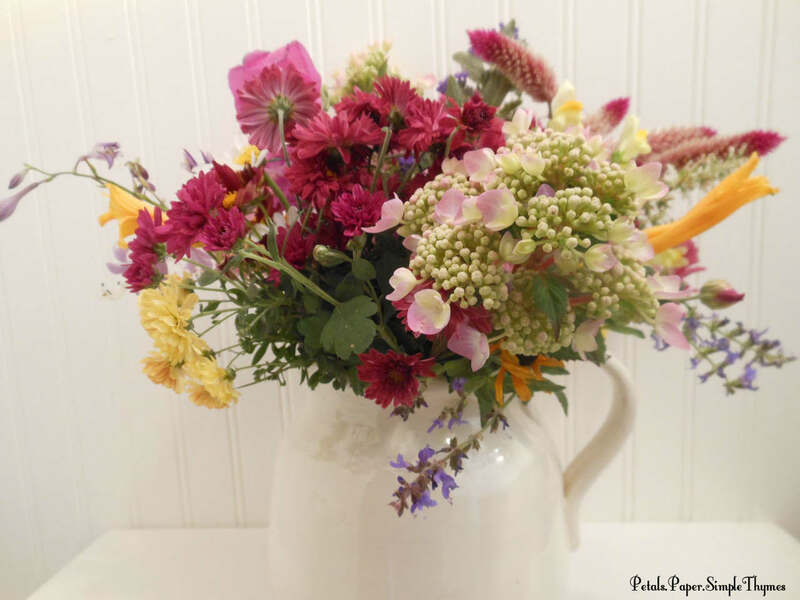 Each morning, she happily fills vases of flowers to bring the beauty of the garden inside. in her little Paper Garden studio. 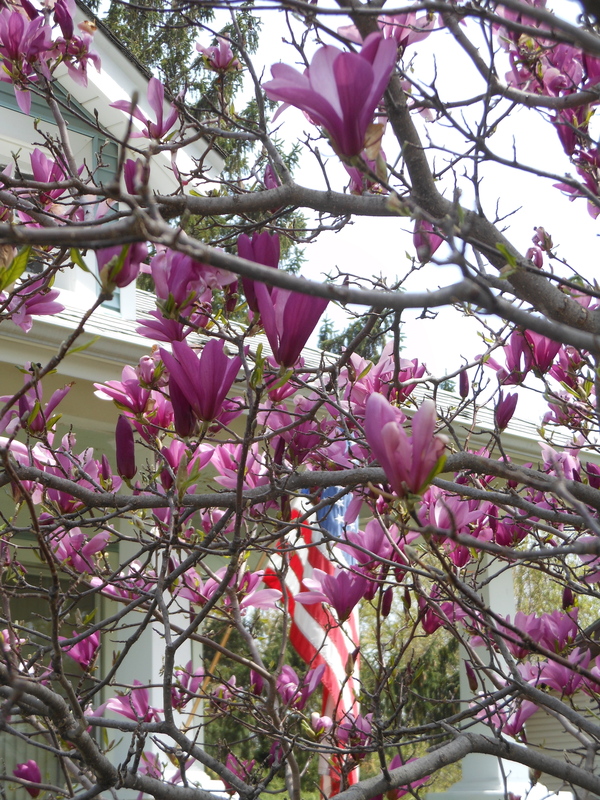 where the pink and purple Clematis bloom. 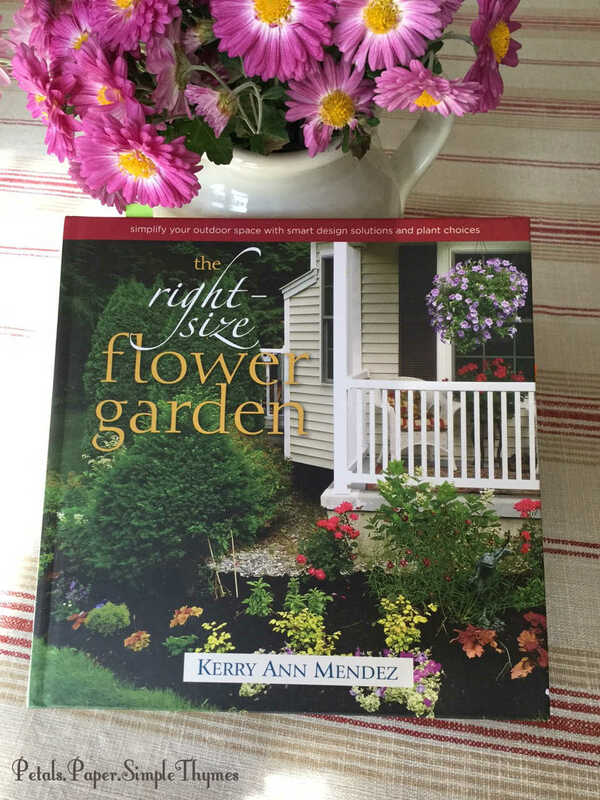 to make her garden dreams come true. when she bought her little bungalow 29 years ago. 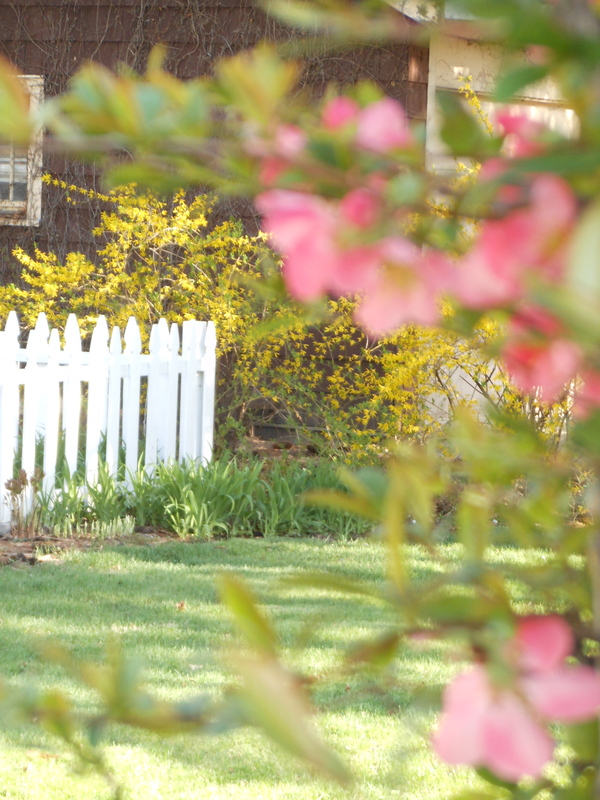 her beloved, 94-year-old cottage garden. and follow the flagstone path to the Herb & Tea Garden. 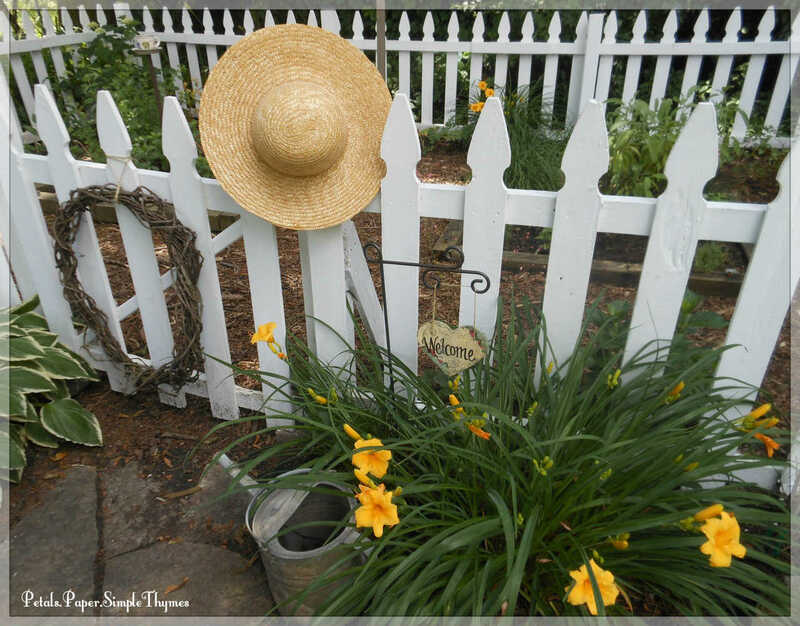 What a joy it will be to watch her ‘new’ old-fashioned garden emerge in the Springtime! the seeds of inspiration will grow! and I have lots more to share! 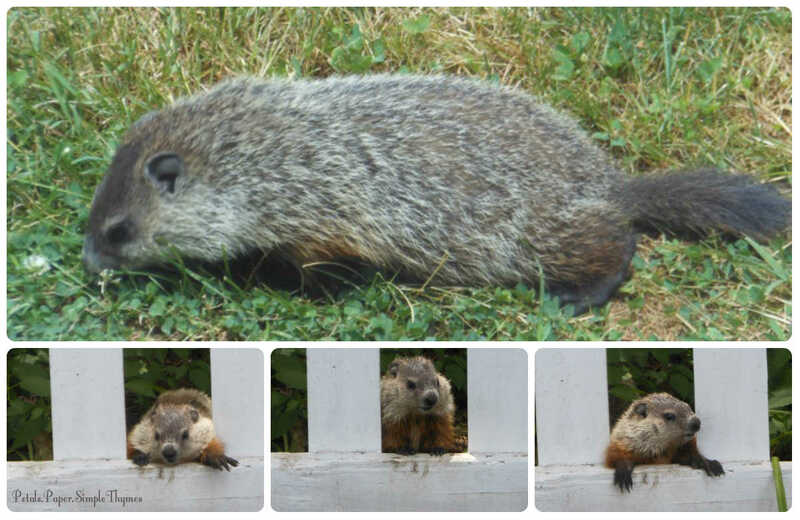 I’m so happy that you stopped to visit today! What books have inspired you most this summer? Wishing you lots of happy! The weather forecast warned us of frosty nights here last weekend. just knowing that the end of our gardening season was quickly approaching. 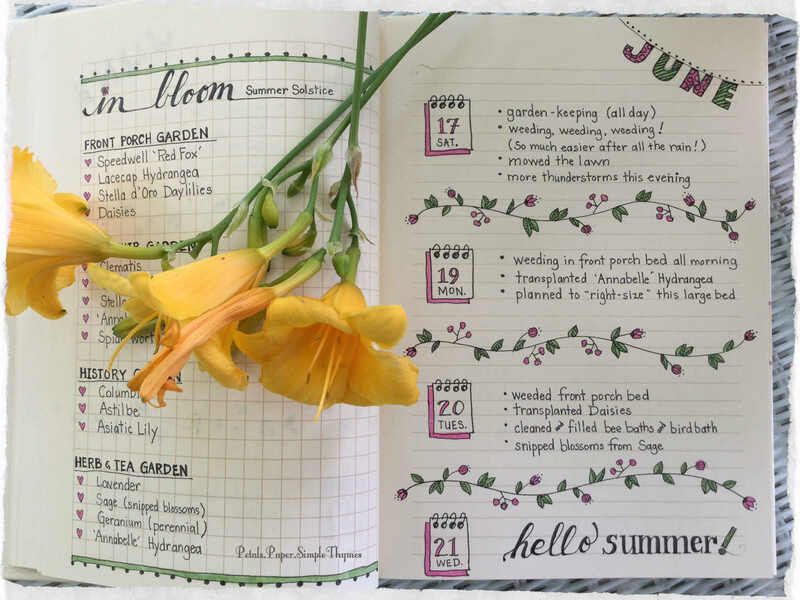 There is always so much to do! It was time to harvest fragrant herbs. 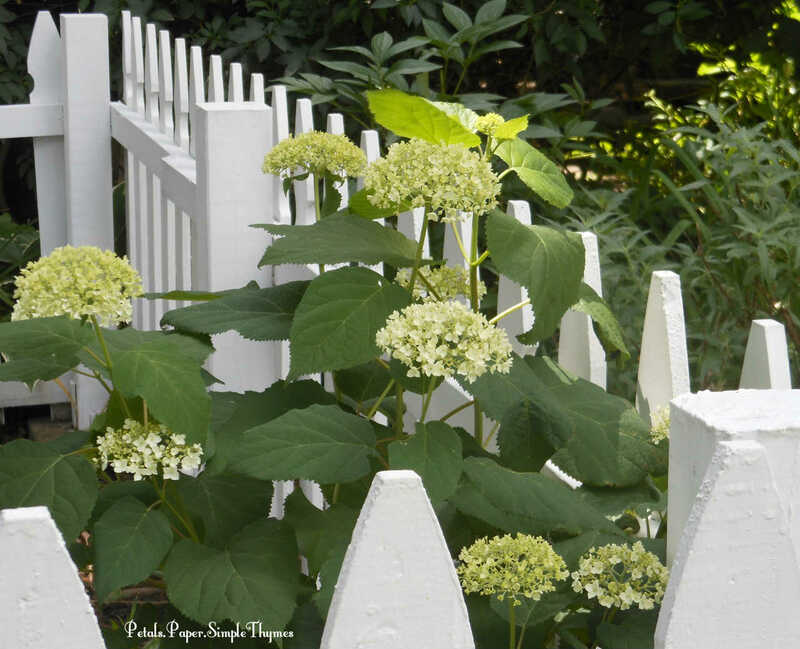 I also gathered big bunches of Annabelle Hydrangeas. 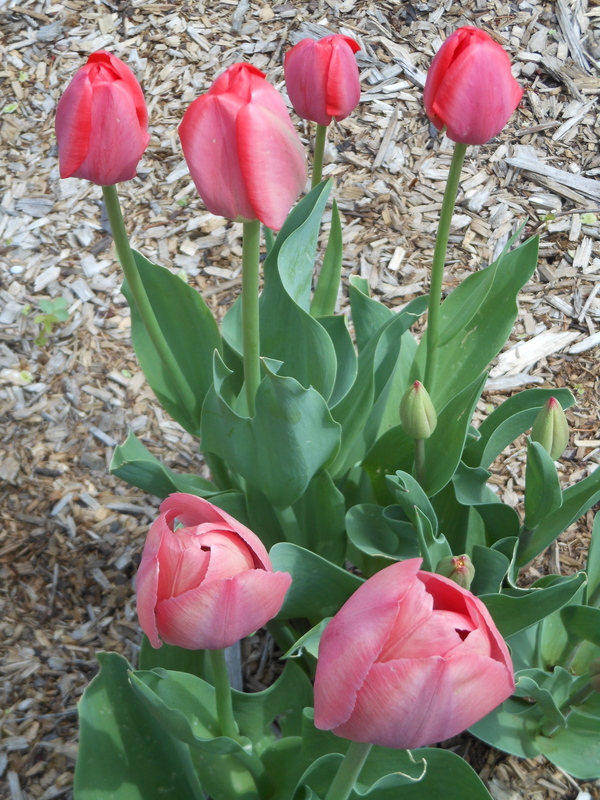 It brings me such joy to have flowers around me all year long! one last memory of the garden flowers. and placed them into a simple, stoneware pitcher. Containers of pink geraniums found a warm home in the garage. as darkness fell upon my Midwest garden. Not really ready. It always makes me sad to bid the garden farewell. Jack Frost painted a coat of white over the garden on both Friday and Saturday nights. Despite the chill, we felt the warm glow of Autumn fun inside. Sunday afternoon was our annual family Pumpkin Fest! 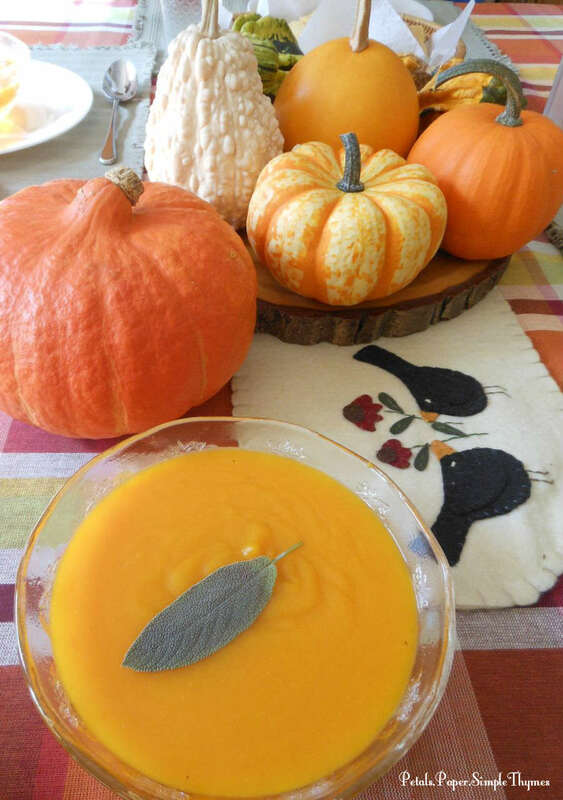 Heartwarming memories are a key ingredient in our Pumpkin Soup. at an outdoor cafe in the beautiful Black Forest, in Germany. translated the recipe into English for us. The thin, edible rind of the Red Kuri pumpkin adds both flavor and a deep color to Pumpkin Soup. 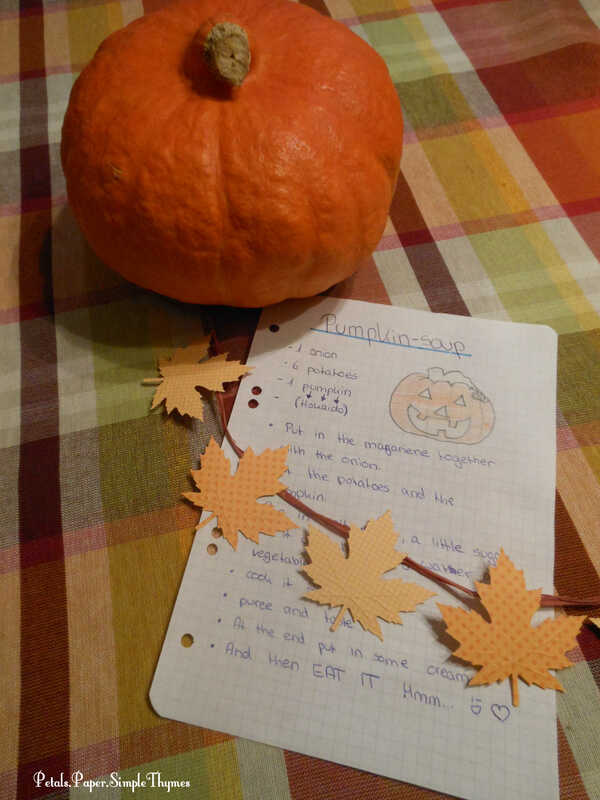 to make Sabine’s wonderful Pumpkin Soup. These pumpkins were much harder to find this year. We searched all of our local markets and the Asian markets nearby. We finally found organic Red Kuri pumpkins at Whole Foods! on that special afternoon three years ago! Pumpkin Soup and happy memories! I couldn’t wait to make Sabine’s Pumpkin Soup for my own family! in our own kitchen a few weeks later. answering all of my questions as I made my first Pumpkin Soup! now shared with our family here each October. ♥ Put chopped onion and a little margarine in a large, heavy pot. ♥ Cut up the potatoes and add to the pot. 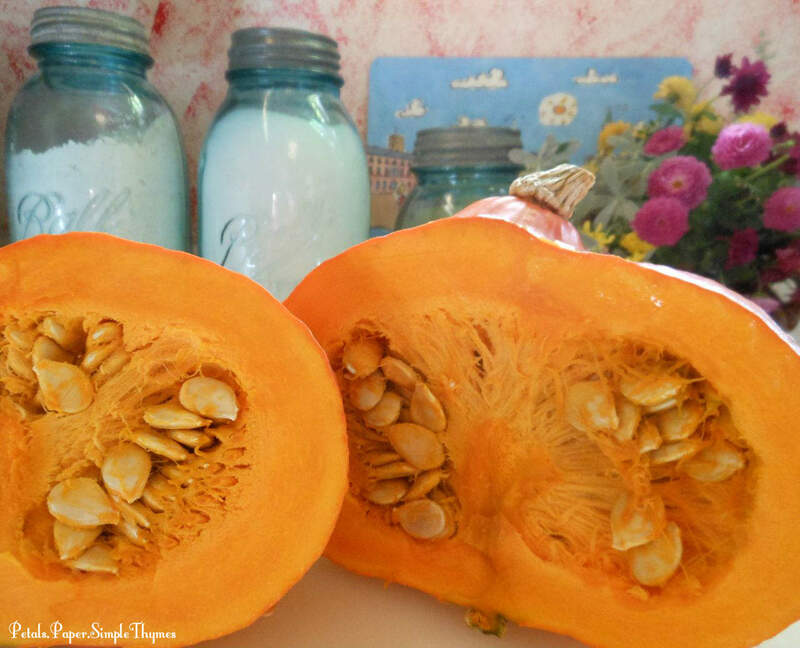 ♥ Cut the Hokkaido (or Red Kuri) pumpkin in half. Scoop out the seeds and discard. 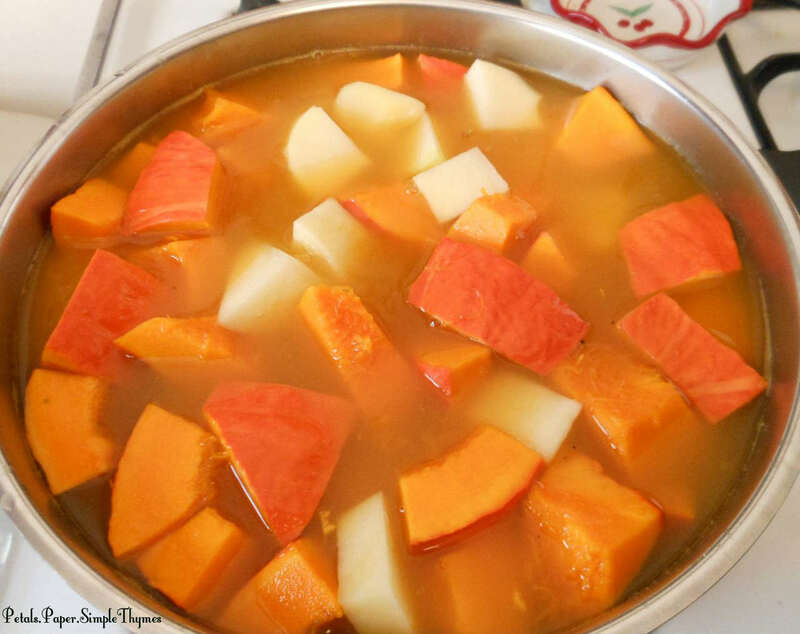 Cut the pumpkin with rind into chunks and add to the pot. ♥ Next add a pinch of salt, freshly ground pepper, and a bit of sugar to the pot. ♥ Add boiling water and vegetable bouillon (or organic vegetable broth) to fill the pot. ♥ Boil the soup for 20-30 minutes, until the potatoes are soft. ♥ Puree the soup until creamy and taste. ♥ A bit of cream can be stirred into the soup at the end, if you like. Mmmmm! Enjoy! when the frost is on the pumpkin? Thank you so much for taking the time to visit today. 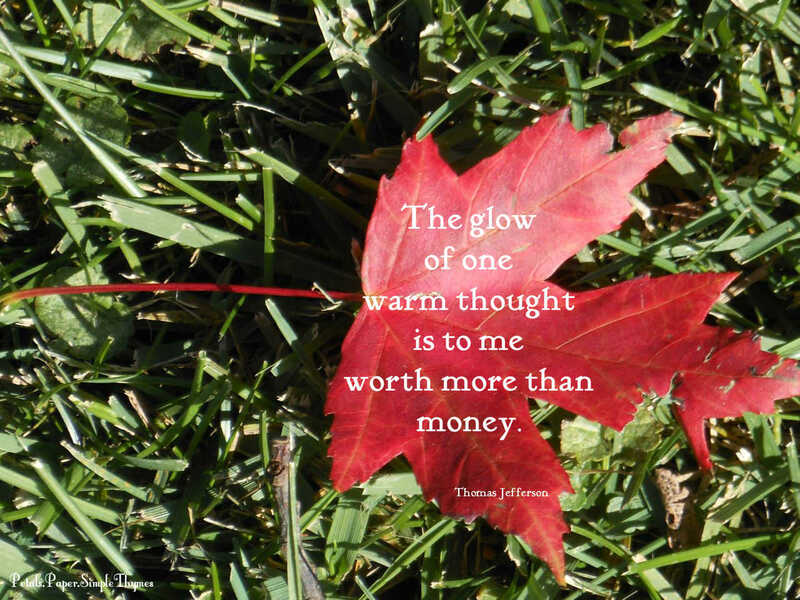 Wishing you a wonderful October weekend! 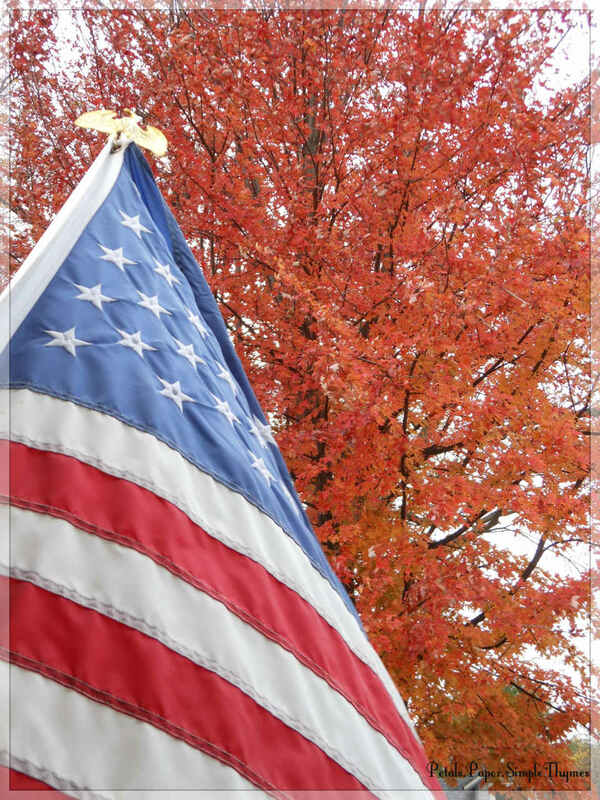 Our ‘Autumn Blaze’ Red Maple reflects the beauty of each October day! 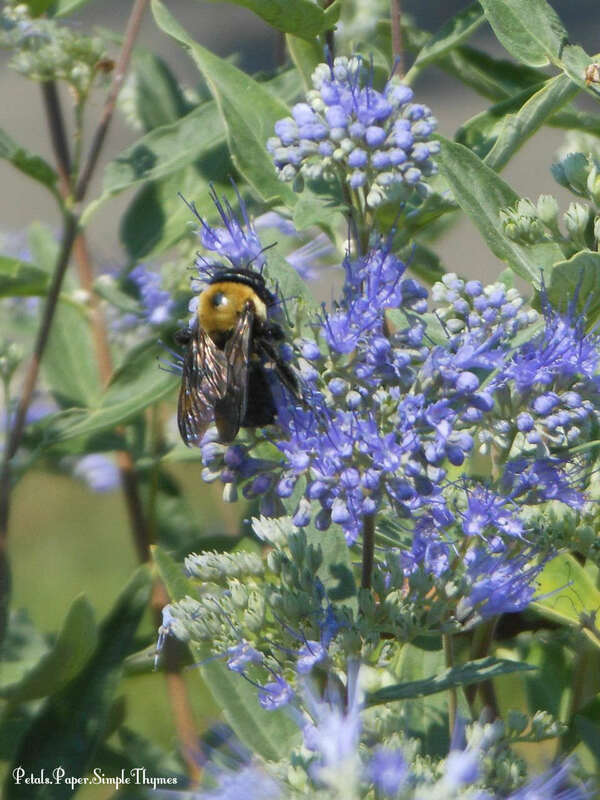 Change is in the air in our Midwest garden! 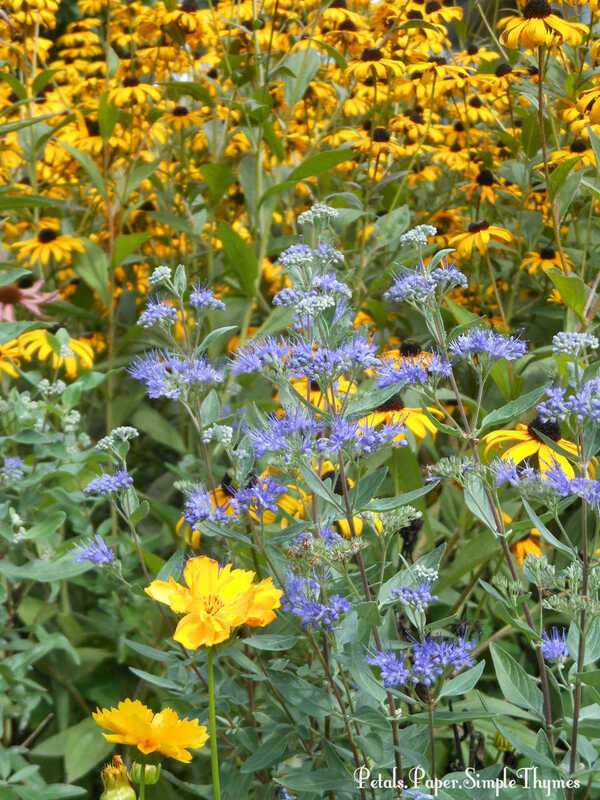 Our chilly nighttime temperatures, shorter daylight hours, and brilliant Autumn colors are poignant reminders that a new ‘garden’ season is just around the corner. Now the precious hours spent gardening in the warmth of an Autumn afternoon seem ever so fleeting! 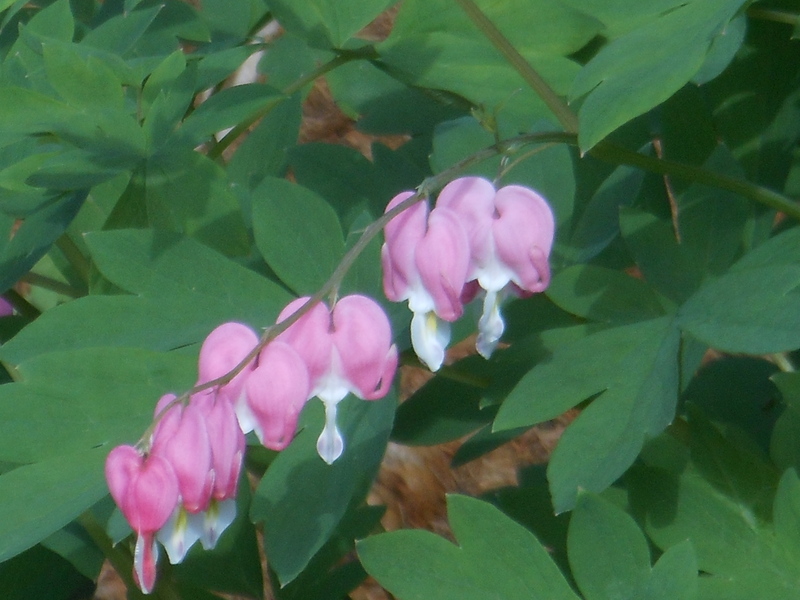 Although the garden colors are fading quickly now, there are still some lovely reminders of our colorful Summer days. Bright pink Cosmos blossoms still dance in the breeze in our old-fashioned Cutting Garden. 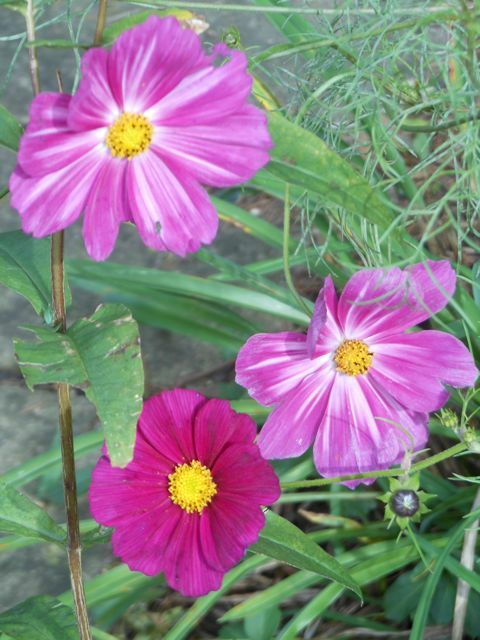 These Cosmos grew from seeds sent from Rheinstetten, Germany. What a lovely gift of friendship from a faraway friend! 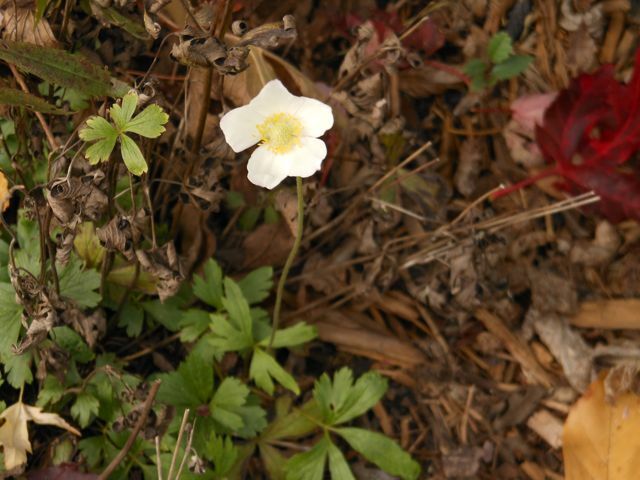 A brave Anemone, that typically blooms in May and June, is blooming in our garden this October! 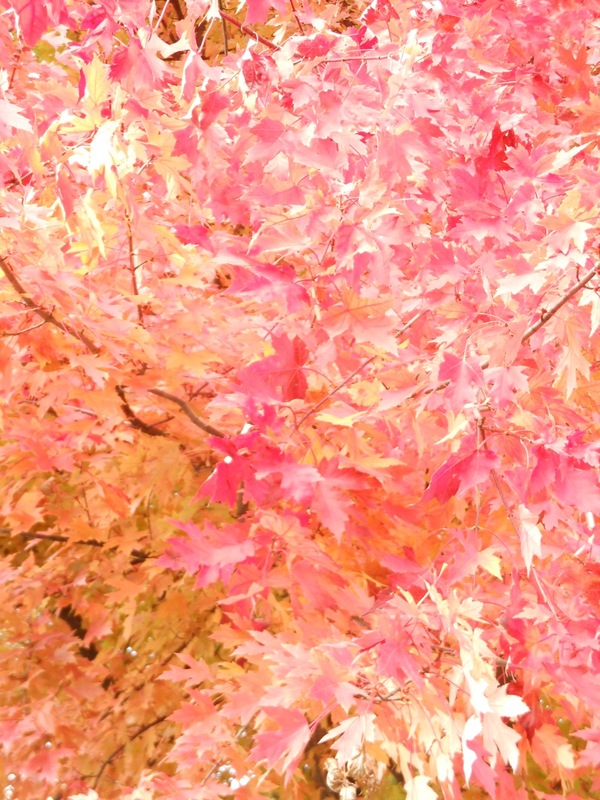 Brilliant leaves twirl down creating a colorful dance on an Autumn breeze. 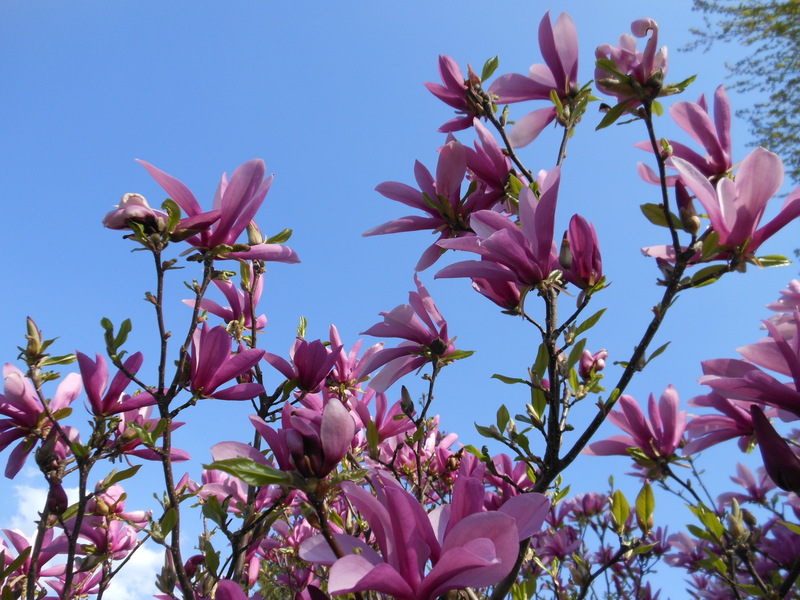 After gazing upward, again and again, to enjoy the glorious colors overhead, it was time to begin a few gardenkeeping tasks today. With my favorite herb snips in hand, I headed through the garden gate to begin harvesting bundles of herbs to dry for our kitchen this winter. 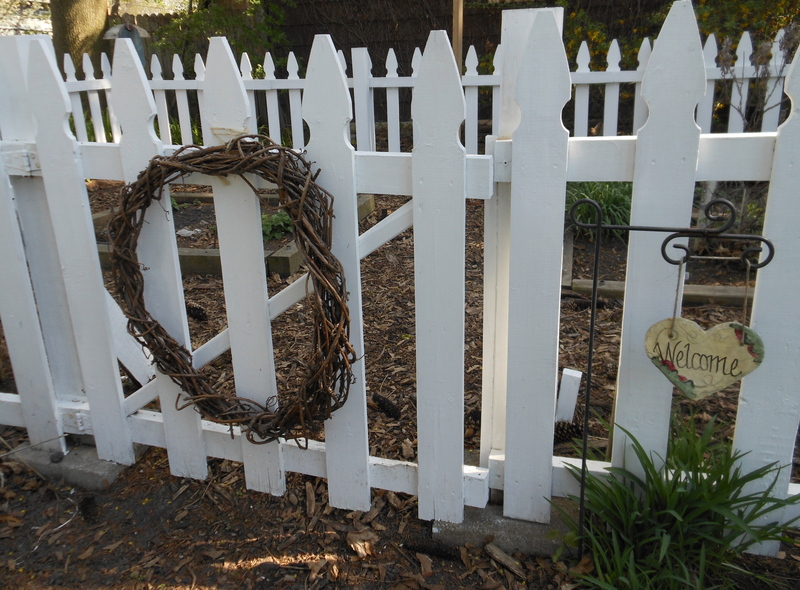 Oh, the delights that greet us as we step through the gate of our Herb and Tea Garden! 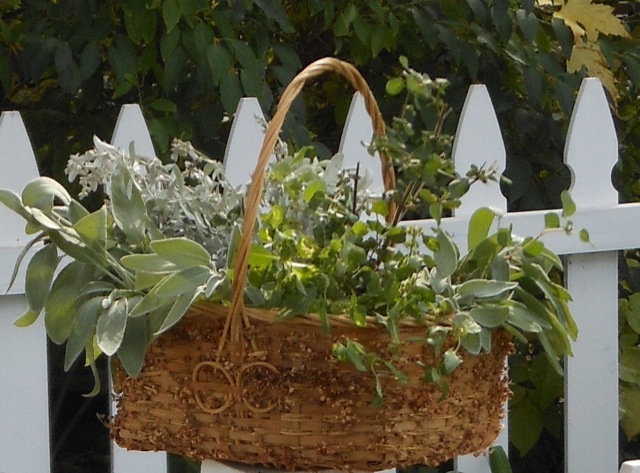 It’s such fun to snip sprigs of Rosemary, Sage, Marjoram, Oregano, and Thyme gathering each bundle tightly with a small rubber band. 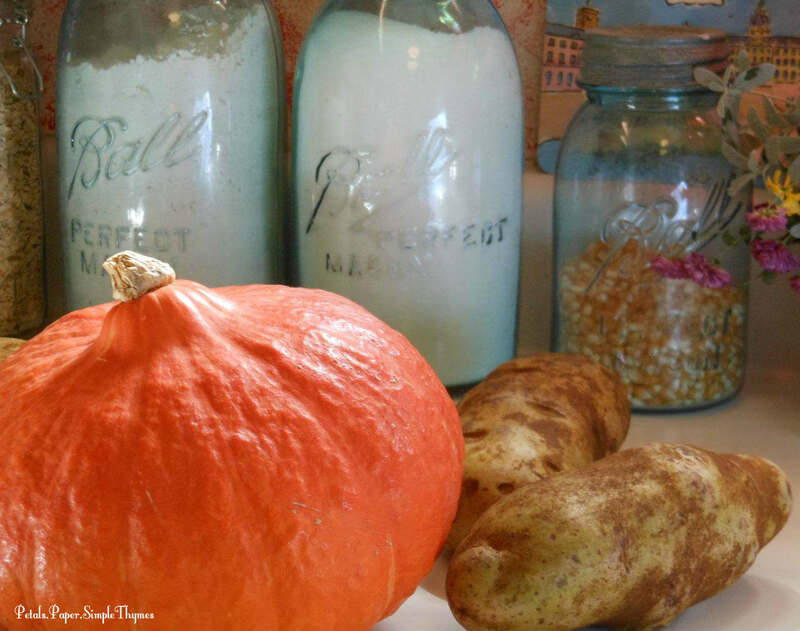 Thoughts of winter soups and Thanksgiving stuffing come to mind at harvest time. Our dried herbs will flavor so many meals in the coming months. 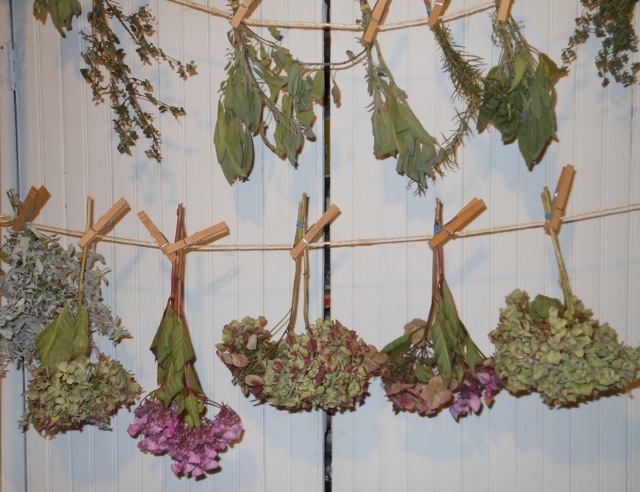 The small bundles of herbs will hang to dry in our cool, dark basement until they are ready to use in the kitchen. Harvesting Hydrangeas is always one of my special joys. 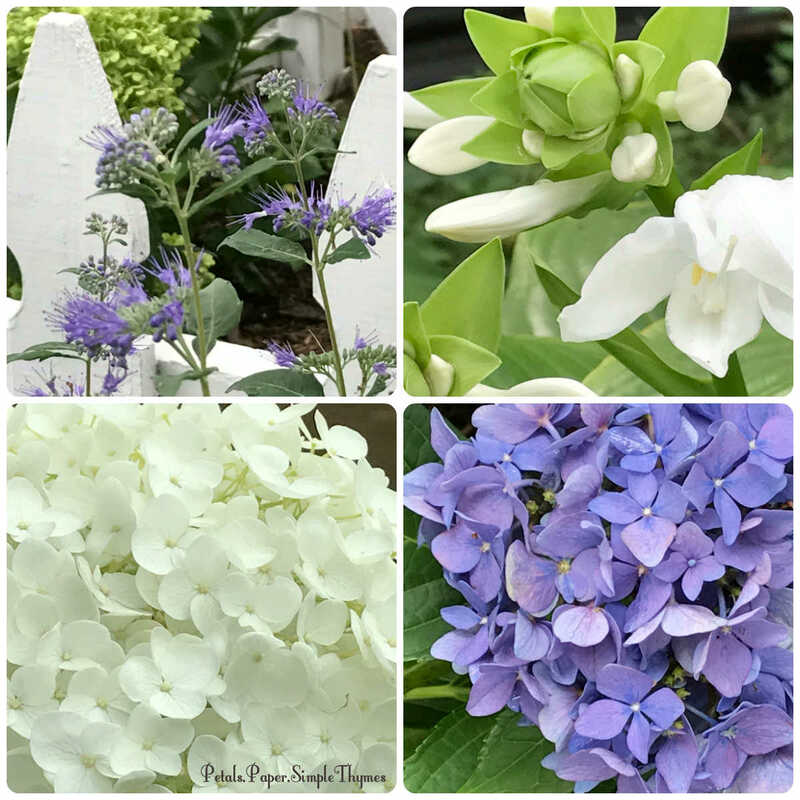 In October, we usually have so many lovely, mauve-colored Hydrangeas to dry ~ enough to fill many baskets, crocks, and stoneware pitchers for a gorgeous ‘winter garden’ inside. Sadly, last winter’s long, severe cold and snow cover in the Midwest meant no flowers at all on most of our mophead Hydrangeas! It was the first time that there were no buds, only large, healthy leaves on the Hydrangeas growing near our front porch. 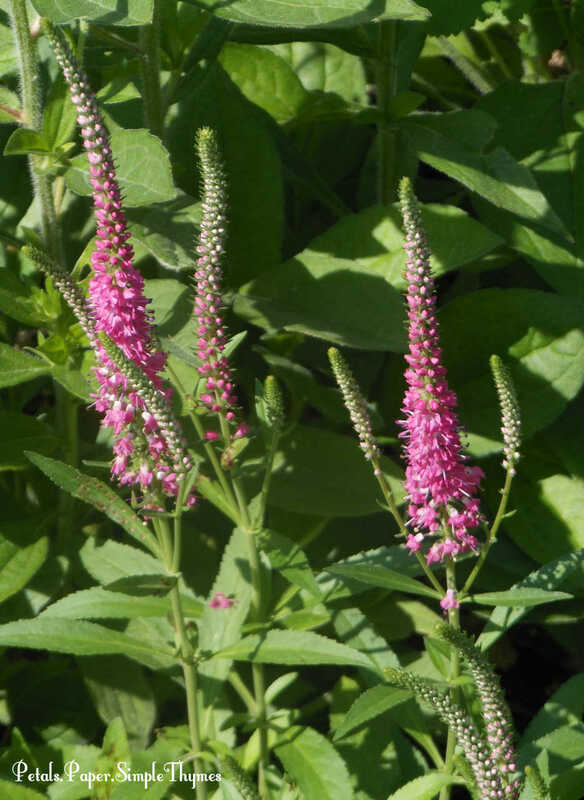 Garden bloggers in many areas reported the same disappointment in their gardens this summer. 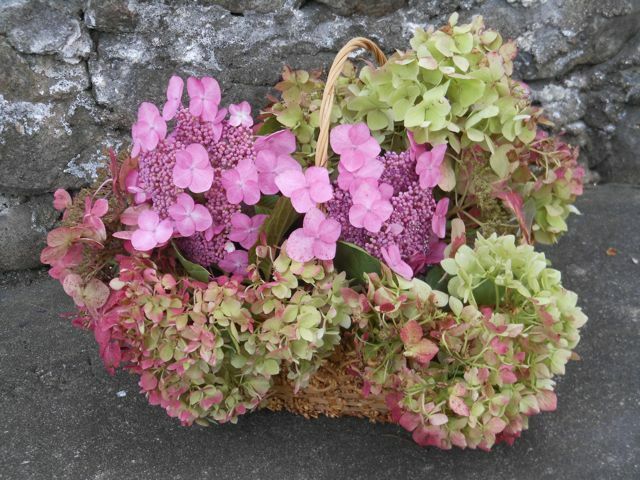 Just one small basket of Hydrangeas, mostly of the lacecap variety, was harvested with great care. Each blossom seemed more precious than ever before! I will truly miss having dried bouquets of my favorite, old-fashioned flowers nearby while sipping tea, reading, and watching the snowflakes fall outside the window all winter long! Nature has taught me that nothing is certain in the garden. Over the years, I have learned a great deal about the importance of patience… and hope! 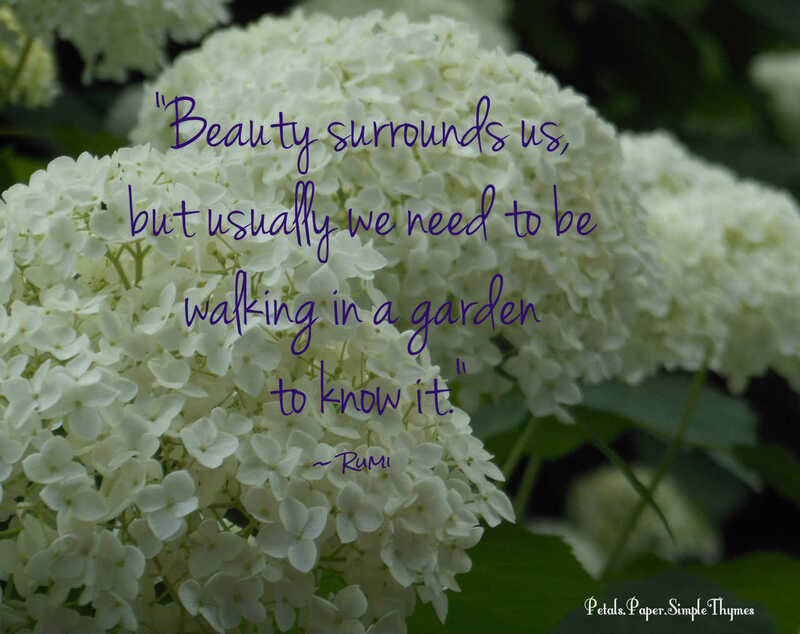 There were very few blooms on our Hydrangeas this season. Harvest time has just begun! Some herbs and Hydrangeas are already hanging in the basement to dry. 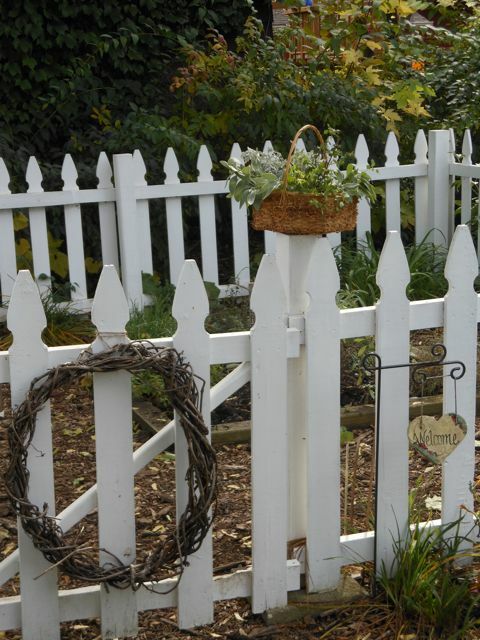 This week, we had our first frost and the garden is preparing to rest. My favorite Rosemary plant has already been brought in from the Herb Garden and is happily growing in a large pot in our sunny dining room. 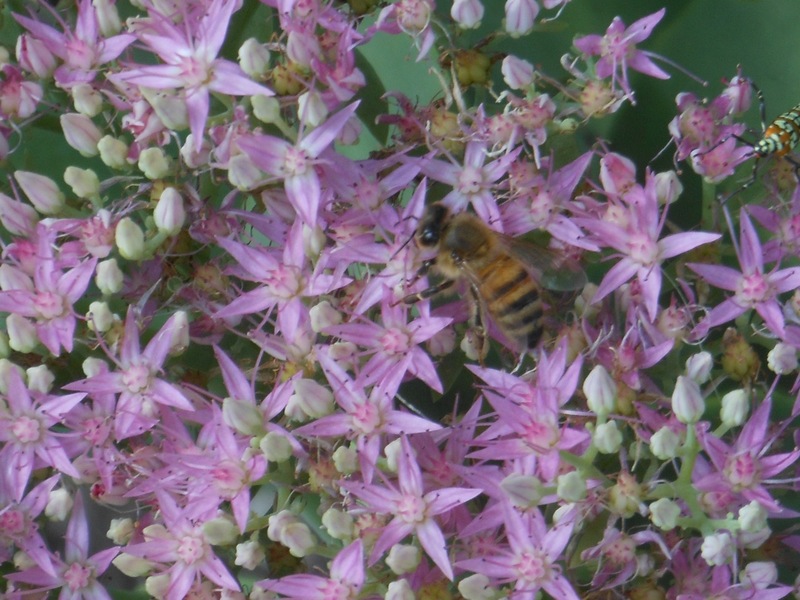 Its heavenly scent will remind me of summer days in the garden through the coldest of winter days. A gorgeous Mandevilla plant that bloomed all summer on our deck is now blooming in the dining room, adjusting to the sunny, southern exposure. 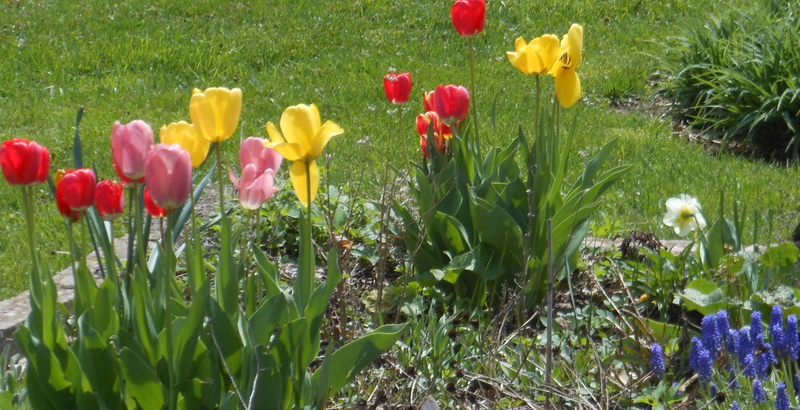 It will be so nice to enjoy this colorful souvenir of summertime in the weeks to come! 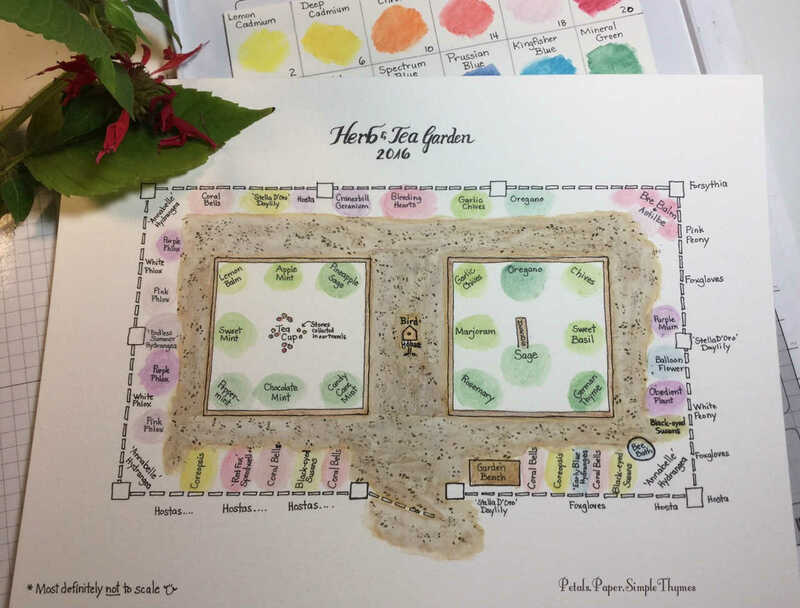 This is always the time when a gardener reflects on the past season and looks ahead to next year’s garden. 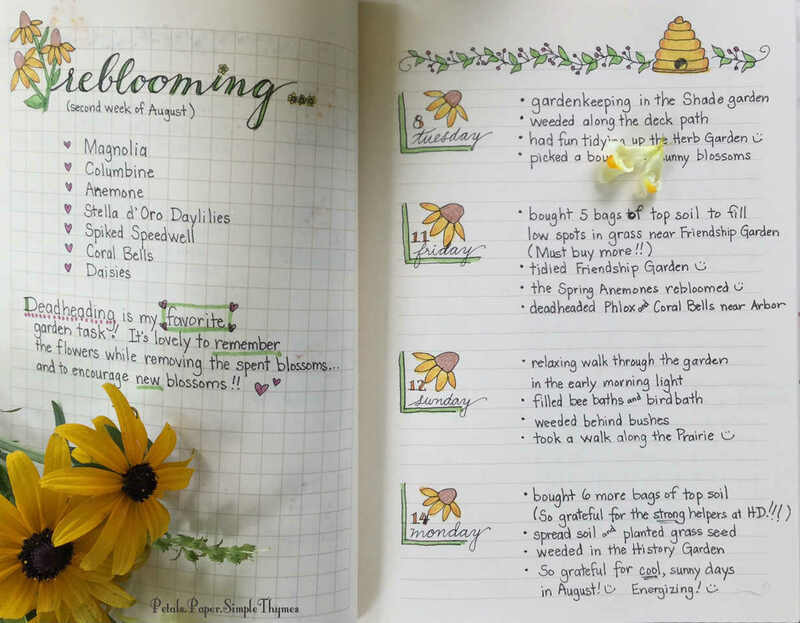 As a garden blogger, there will be new gardening hopes, dreams, and plans to share. 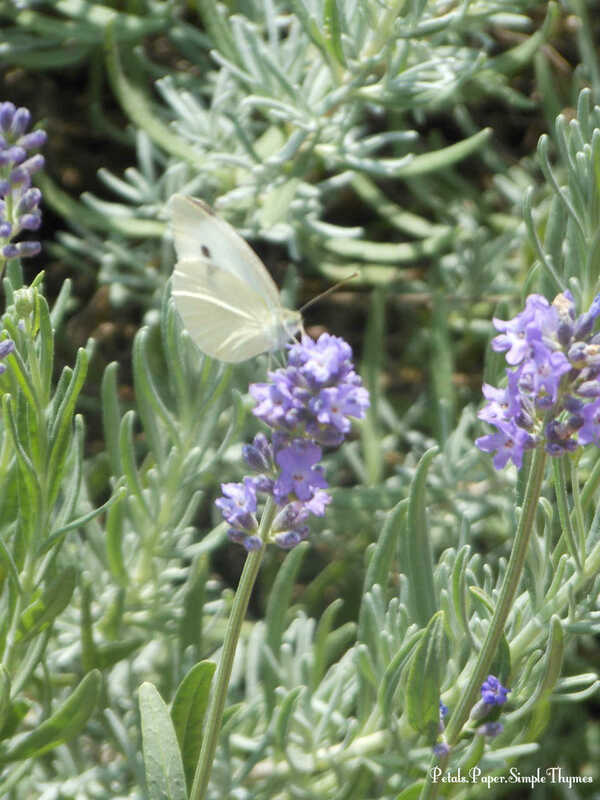 Travels to the sunny Southwest will bring some lovely desert gardens to our blog. 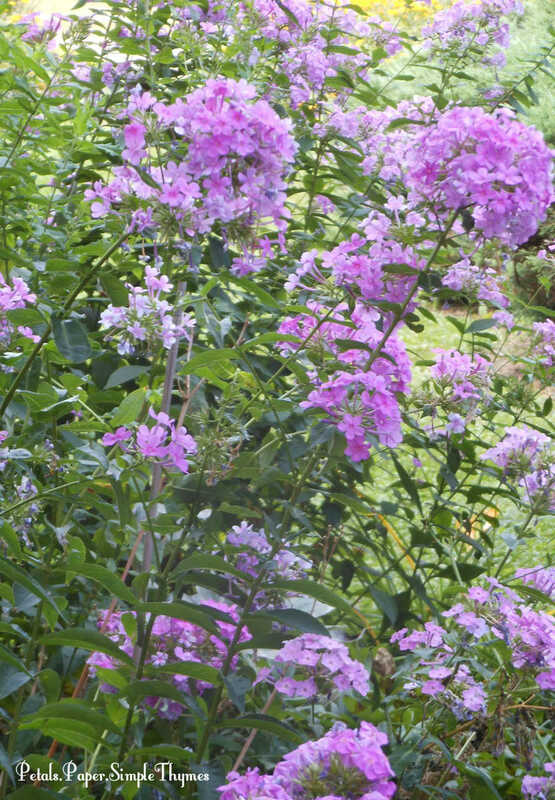 I look forward to sharing some favorite gardens I’ve visited on past European adventures, too. 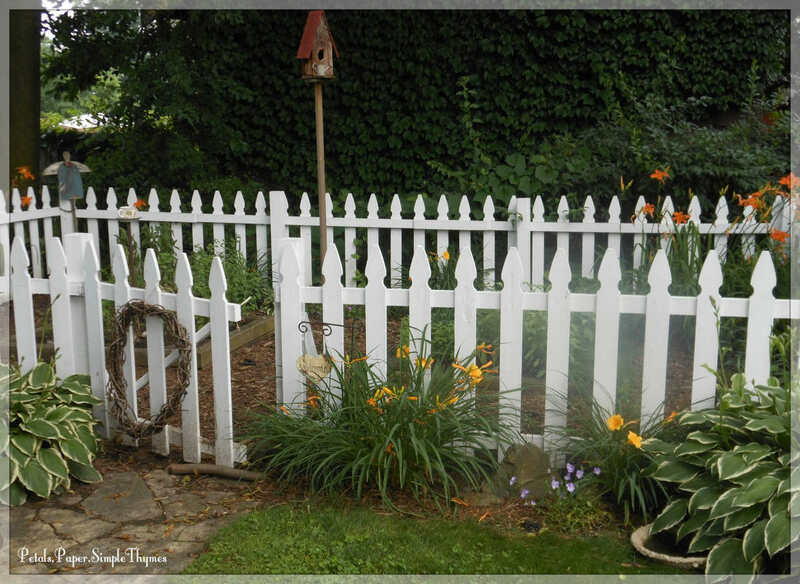 What fun to remember beautiful castle gardens while our Midwest cottage garden rests! 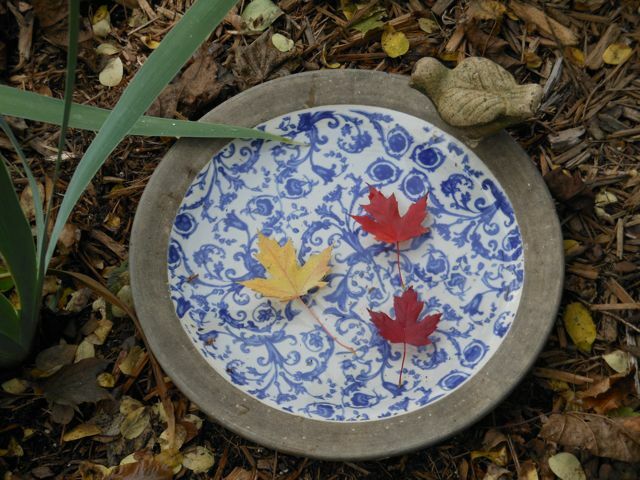 Colorful Maple leaves grace the birdbath on a sunny Autumn day. 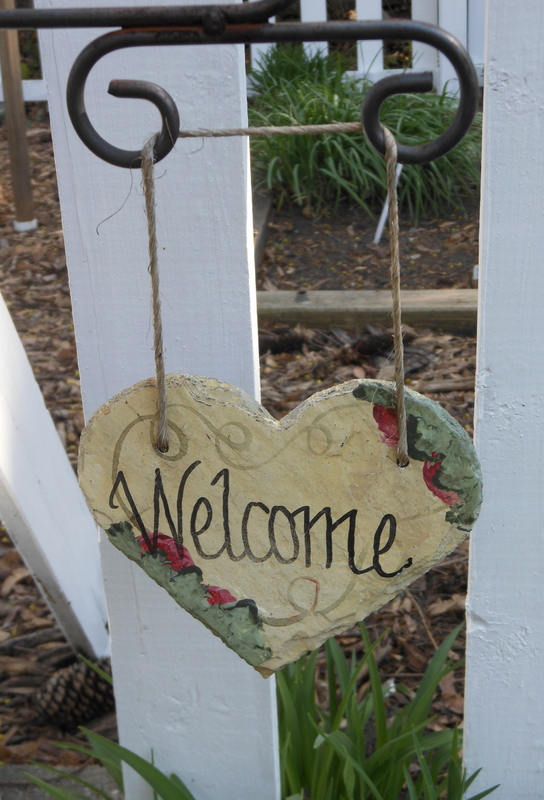 … and a new garden season is just beginning here!! I’m looking forward to sharing another favorite passion of mine in the coming months! A long-time dream of mine has just come true. 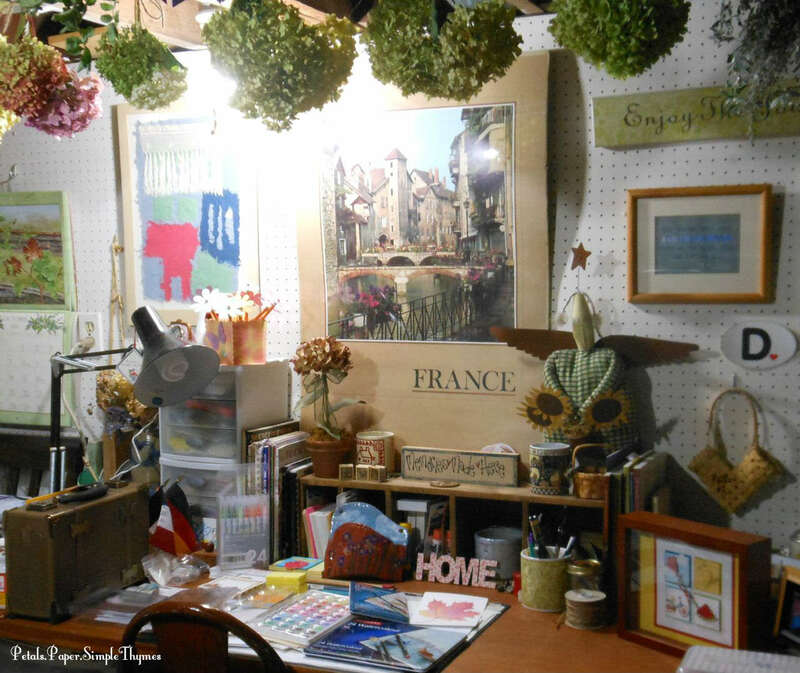 I have set up a Studio space in our basement where I can create (and be messy!). 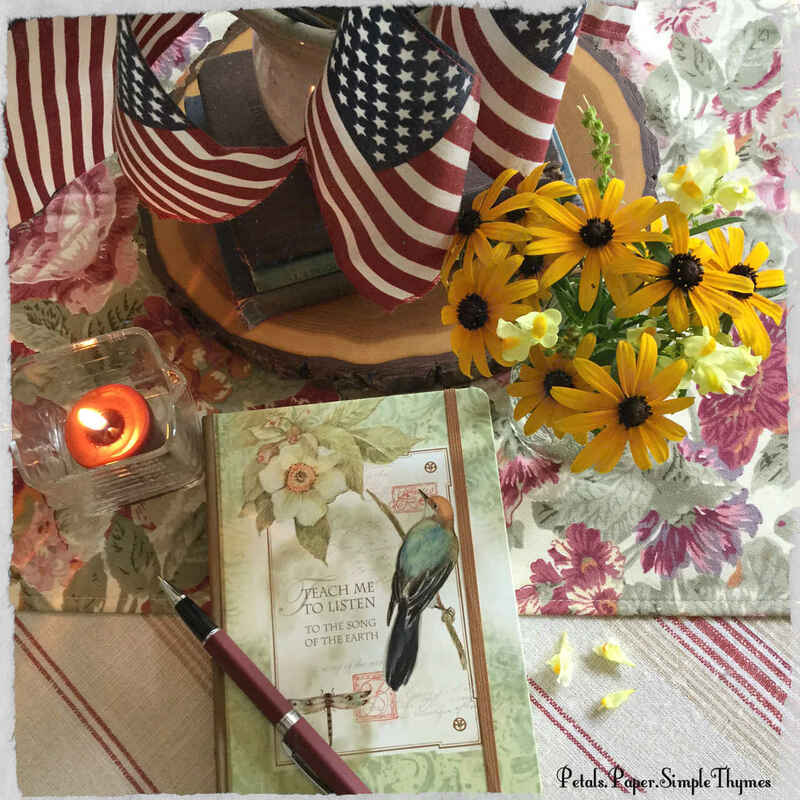 It’s a wonderful place to spread out and enjoy making cards, scrapbooking, watercoloring, and to begin experimenting with new techniques in a mixed media art journal. It will be such fun to sow new seeds of inspiration, water them with passion, and encourage new skills to grow and blossom! Banners and bunting celebrate my passion for paper! Colors, patterns, and texture make my heart sing. 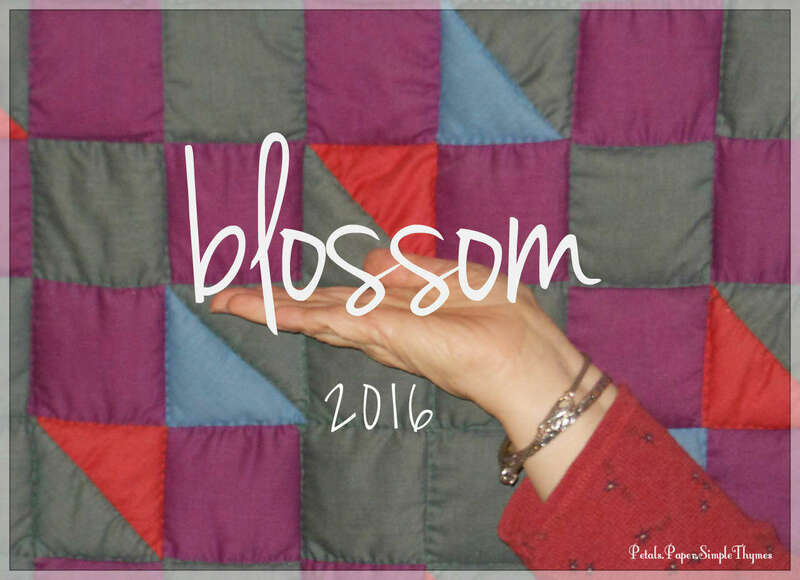 It was such fun to create a banner for my new Studio space! For my papercrafting friends: First I die cut banners using SU ‘Banners’ Framelits and embossed the Bazzill ‘Forget Me Not’ cardstock with the Embossalicious ‘Flowers’ EF. 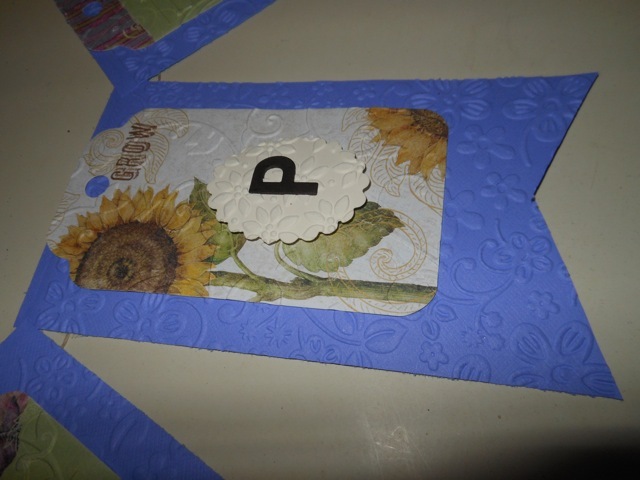 I layered K&Company Floral Tags, embossed with the Cuttlebug ‘Birds and Swirls’ EF. Next I die cut Spellbinders ‘Scalloped Ovals’ on SU ‘Very Vanilla’ cardstock and embossed them with the SU Sizzix ‘Flowers’ EF. Then I added letters die cut with SU ‘Little Letters’ Thinlets on The Paper Company ‘Chocolate Truffle’ cardstock. Finally, I used SU dimensionals to add the sentiment and strung the banner with natural polished hemp. 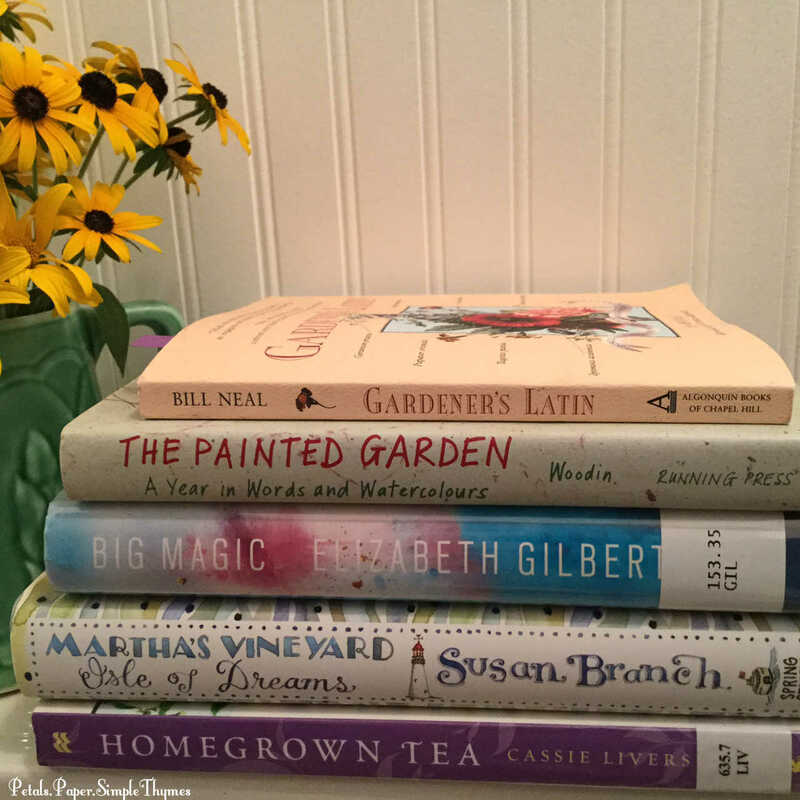 It’s such a treat to spend time in my ‘Paper Garden’… now that my perennial and herb gardens are slowing down. I’m ever so grateful that YOU are here visiting! 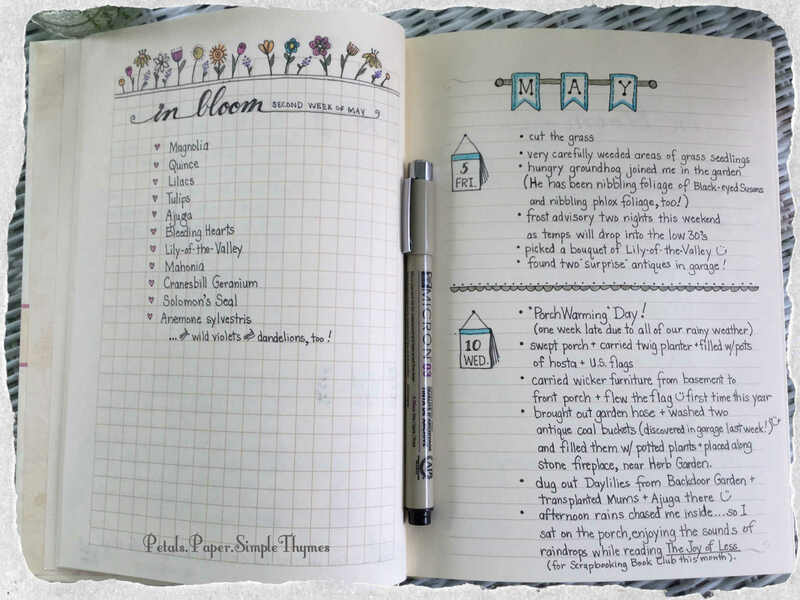 I truly appreciate the time you spend here at Petals.Paper.Simple Thymes! 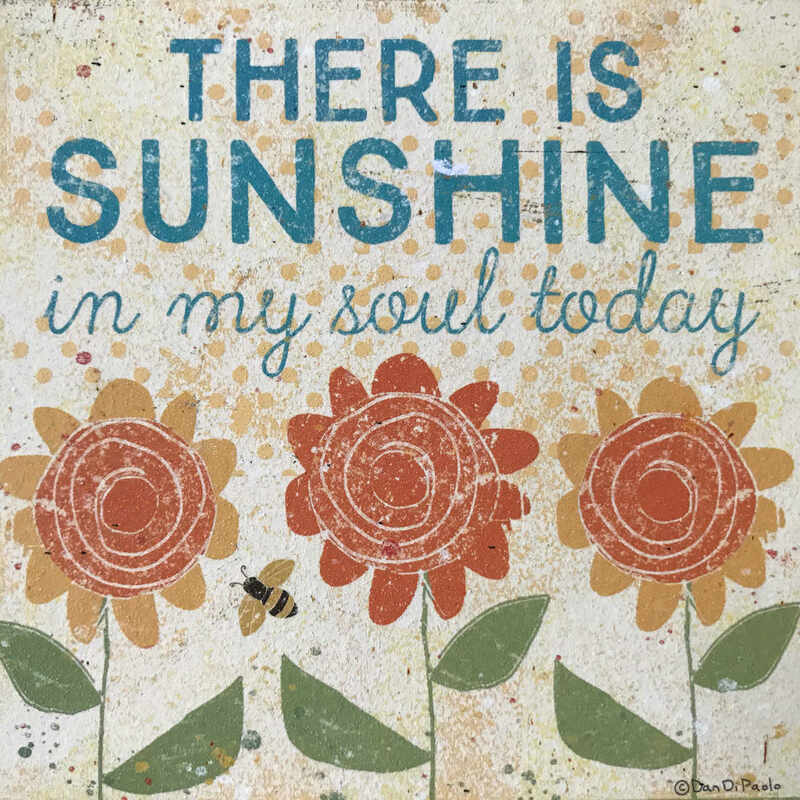 For me, spending time with Kindred Spirits is always such a joy! P.S. Are there special hobbies that you enjoy during the winter months? Or do you continue the same passions year round?